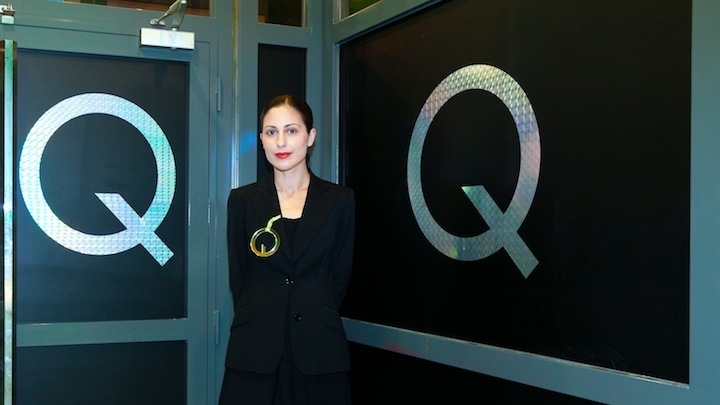 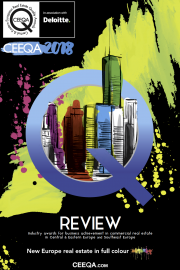 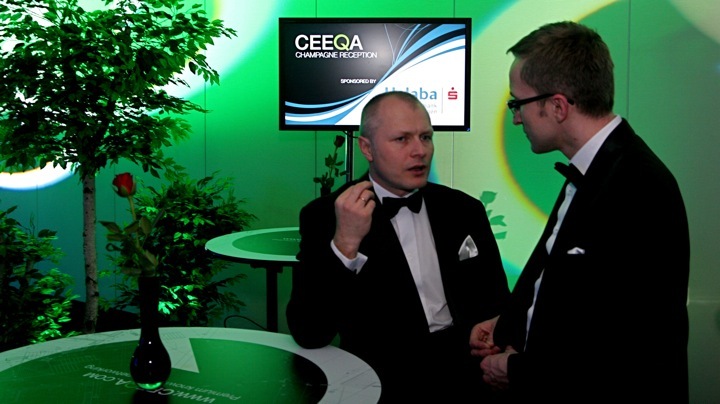 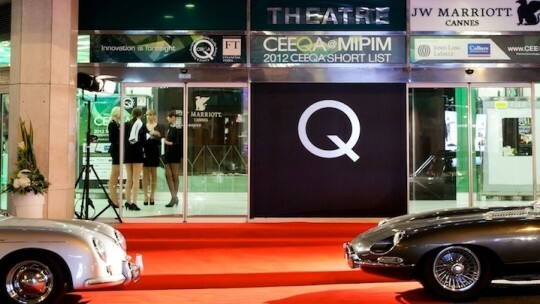 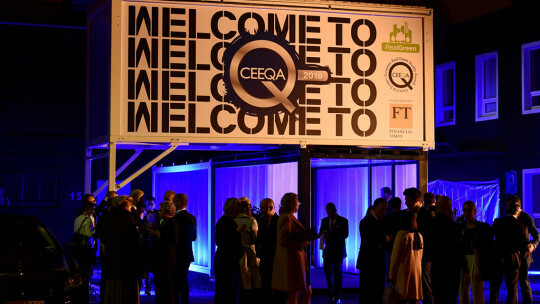 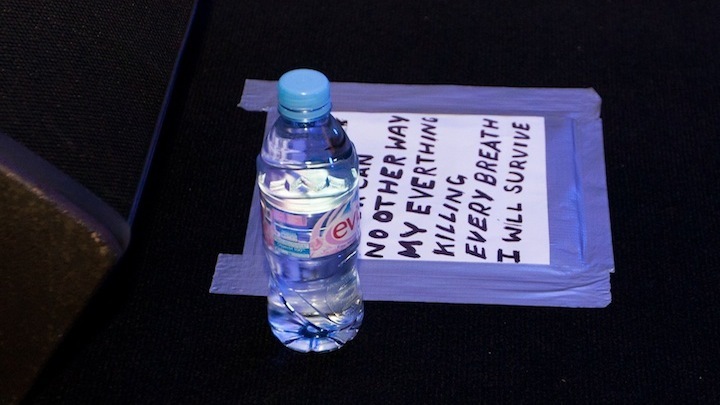 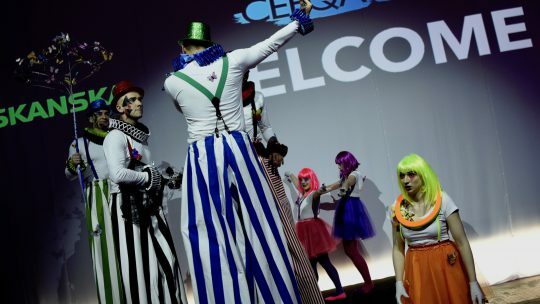 The ninth edition of CEEQA presented a mix of the surprising, the predictable, the curious and the amazing. 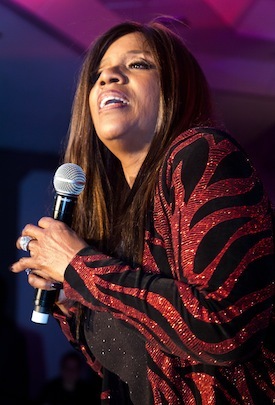 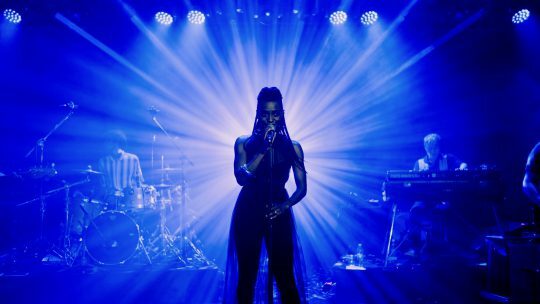 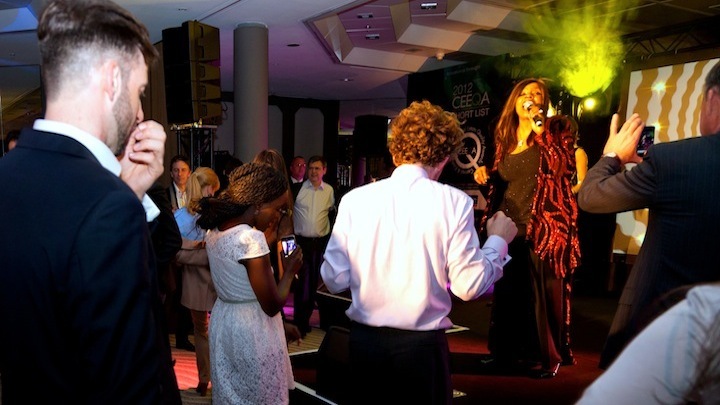 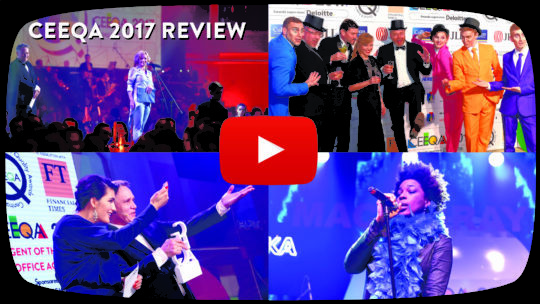 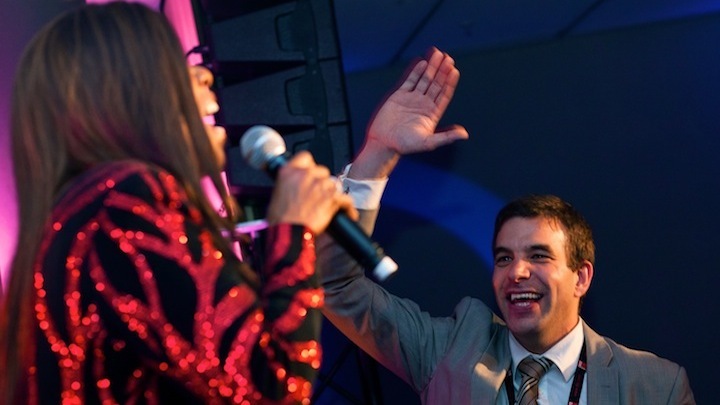 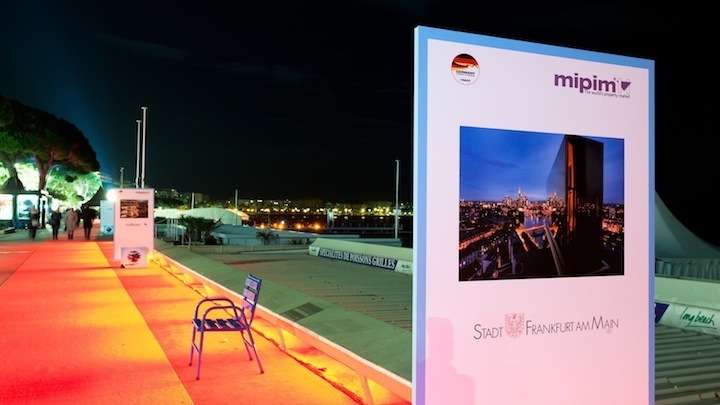 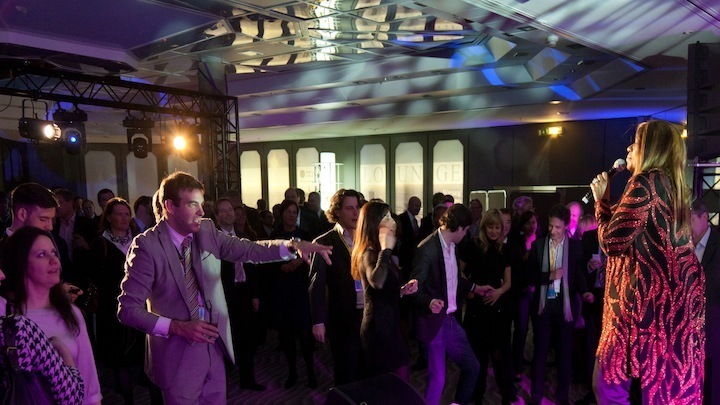 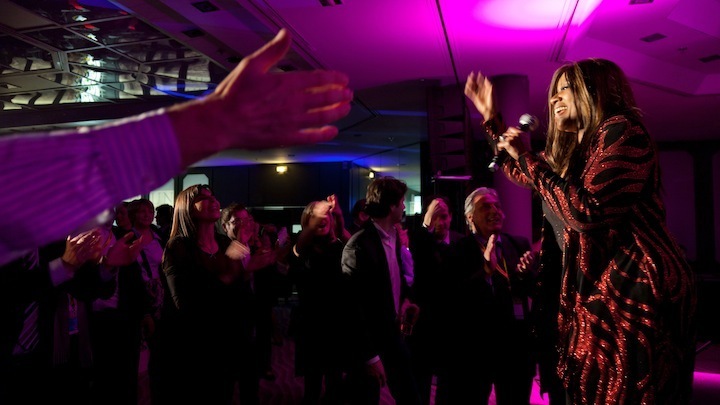 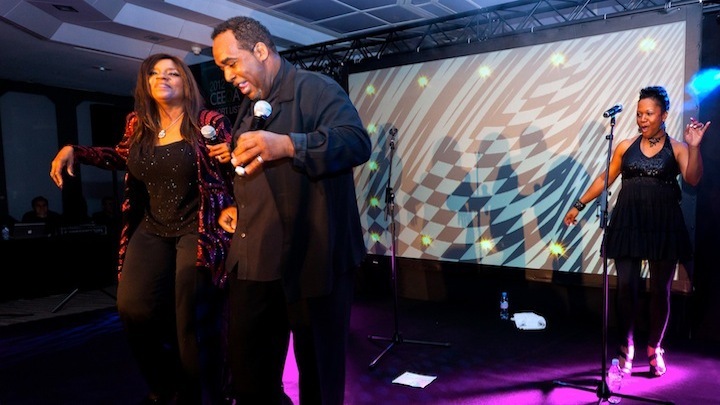 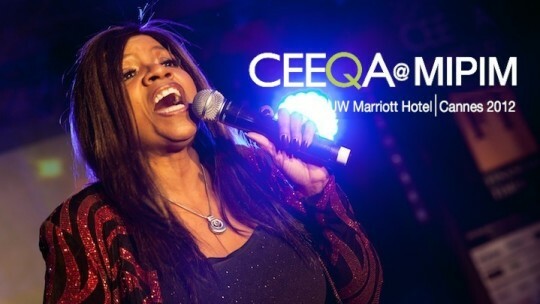 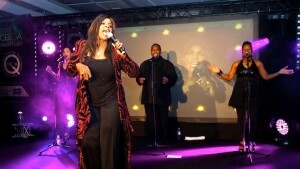 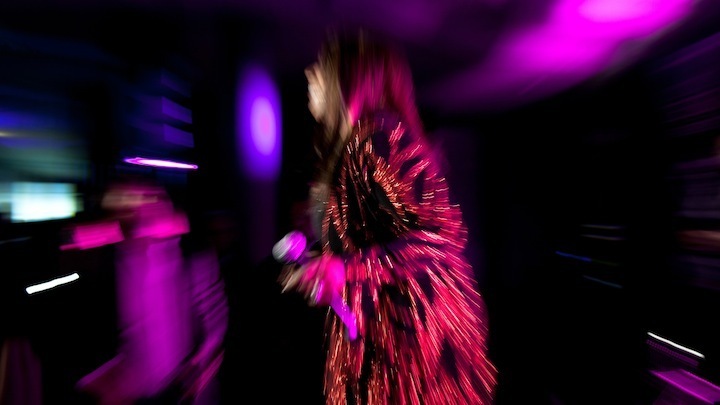 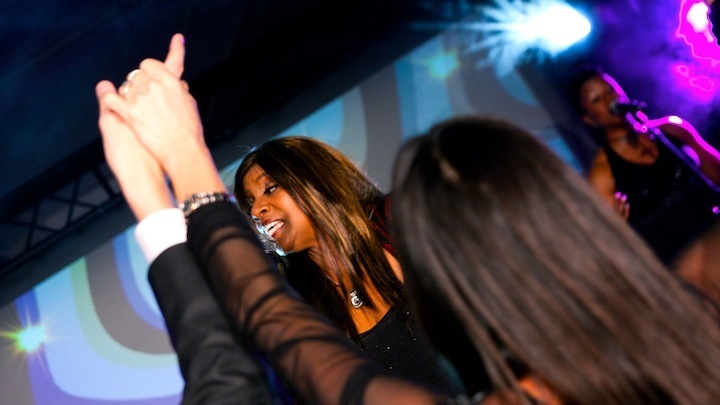 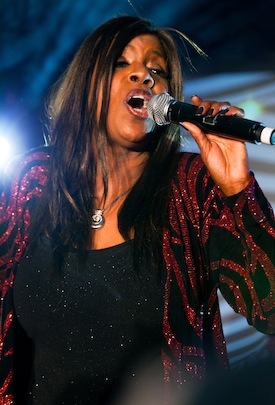 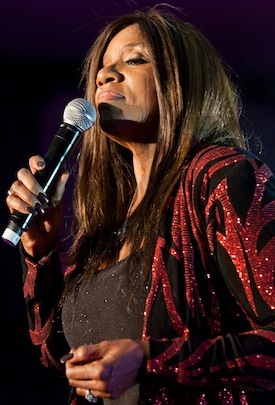 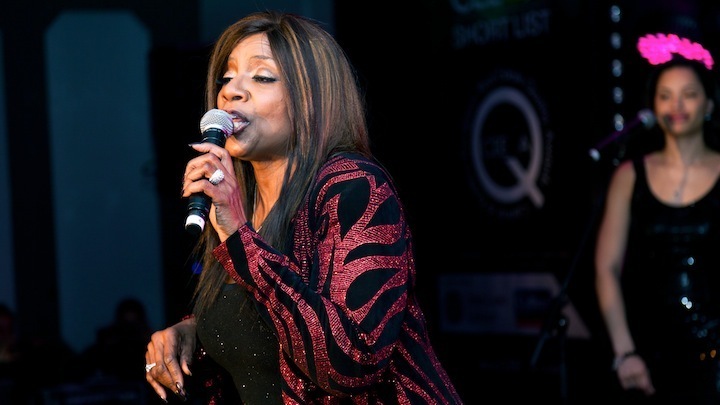 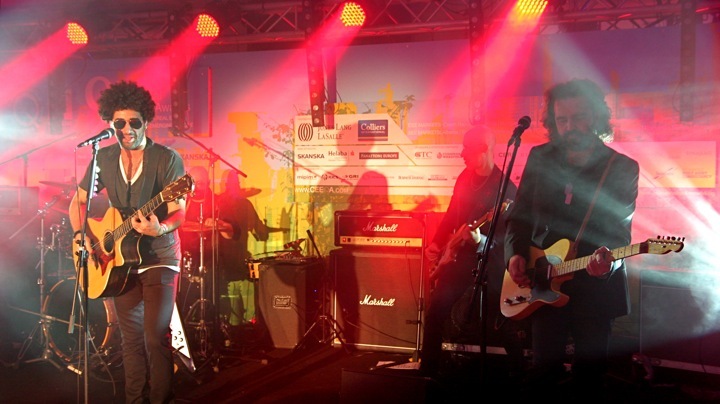 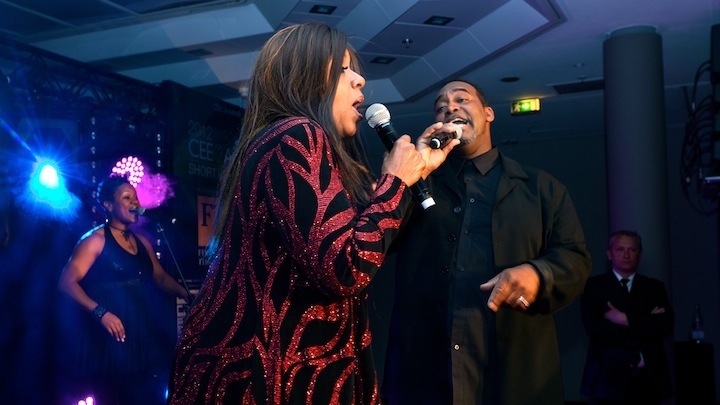 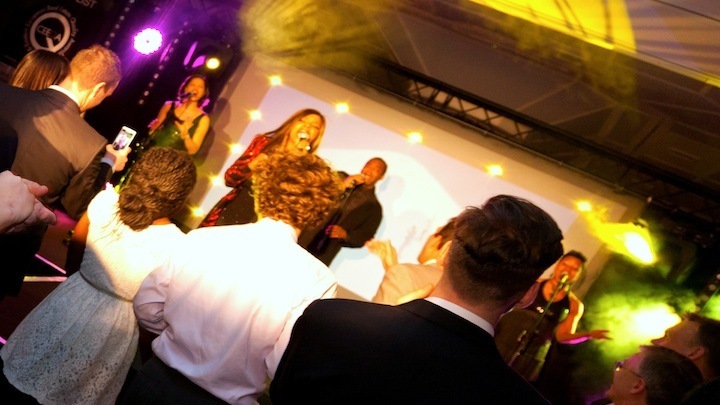 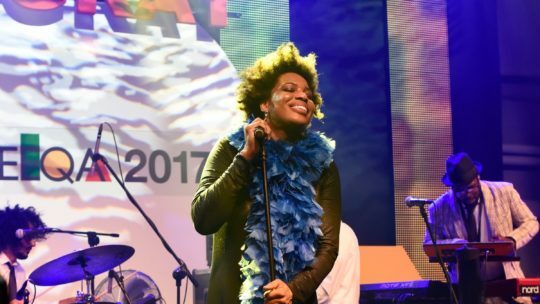 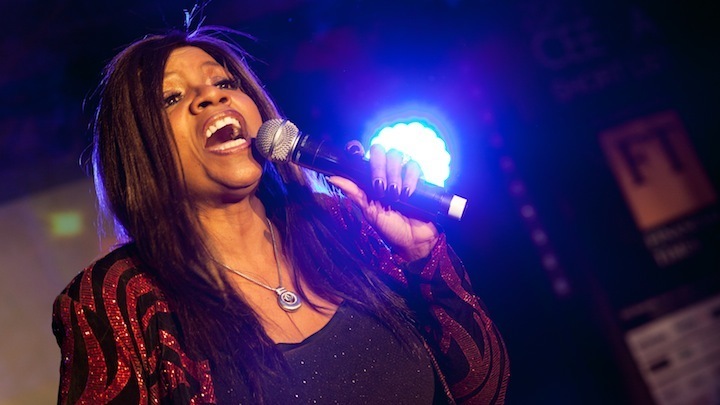 Undoubtedly one of the big highlights of the year was an unforgettable live performance by one of the greatest names in pop music, Gloria Gaynor, at the first ever edition of CEEQA@Mipim in Cannes in March, but there were many others. 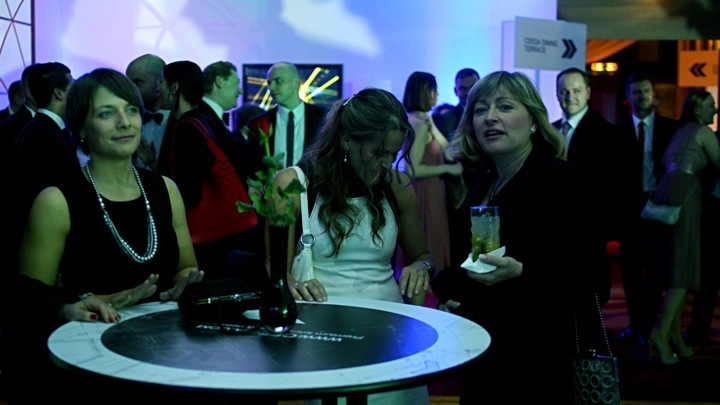 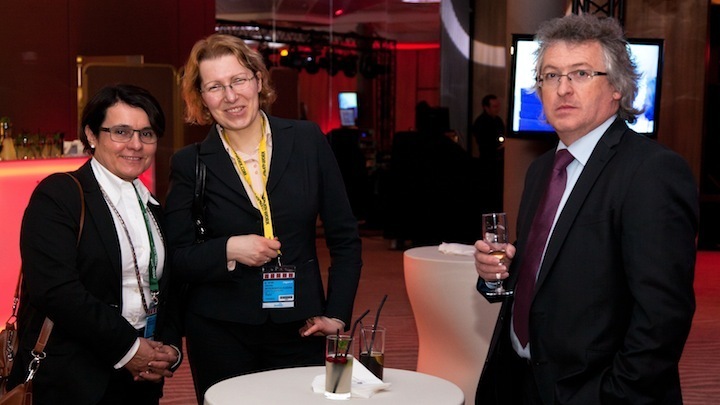 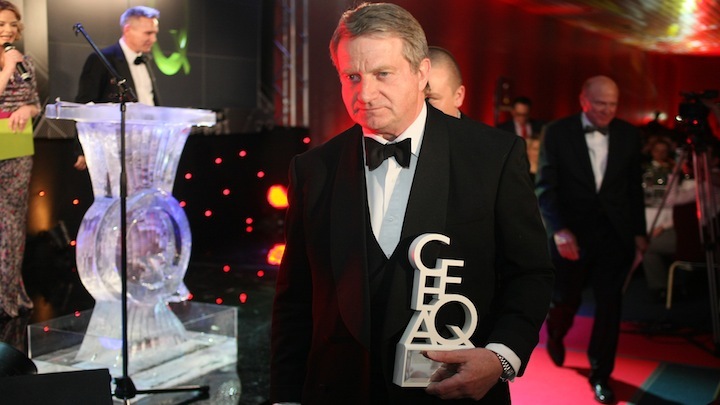 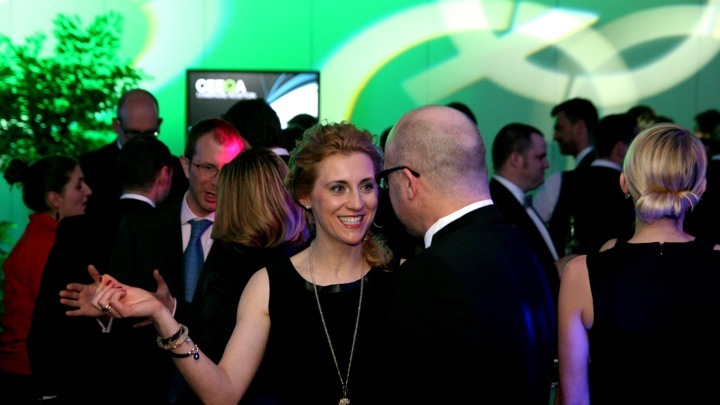 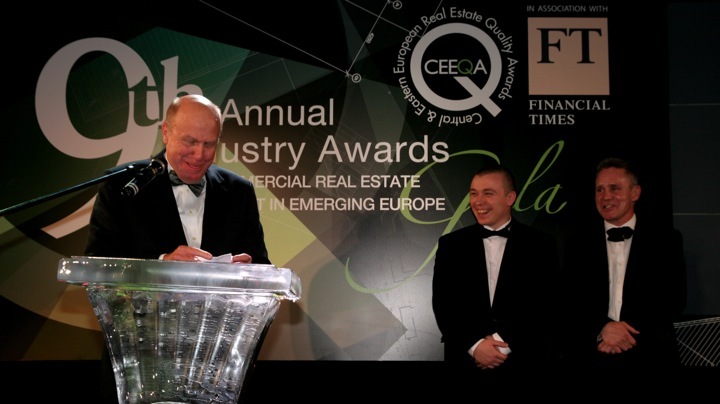 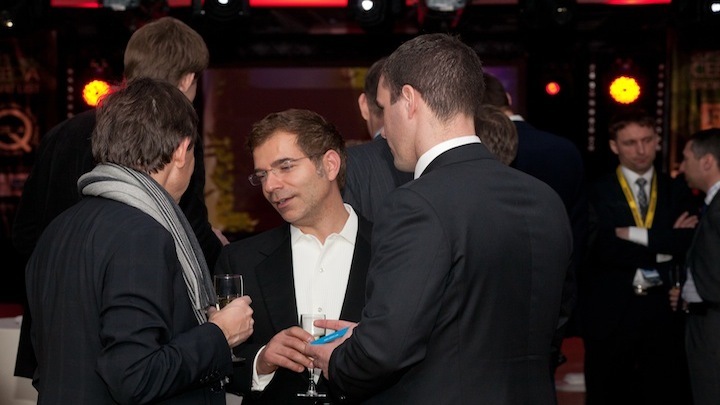 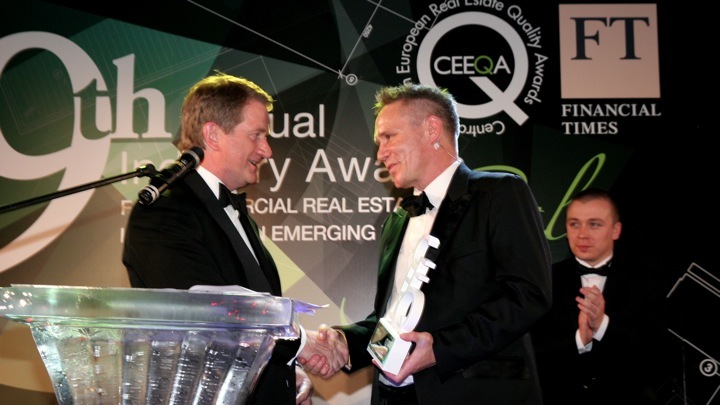 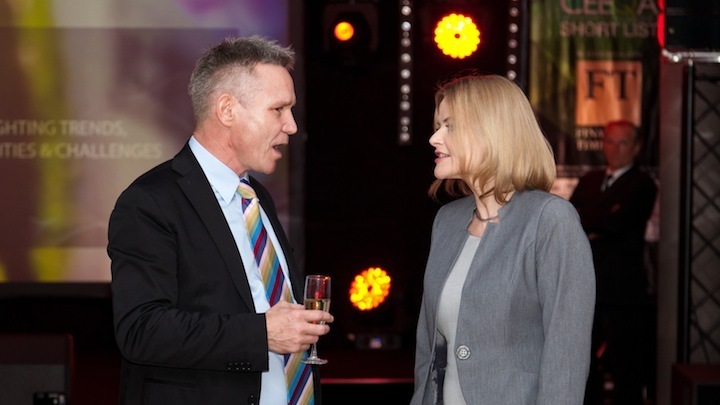 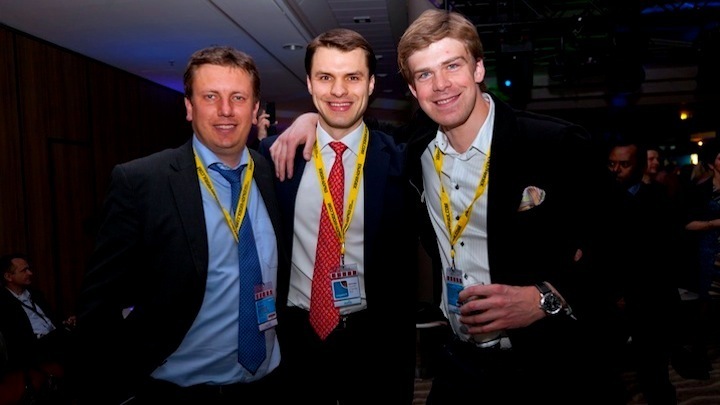 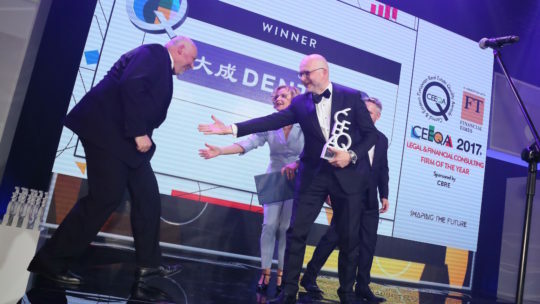 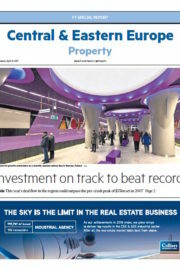 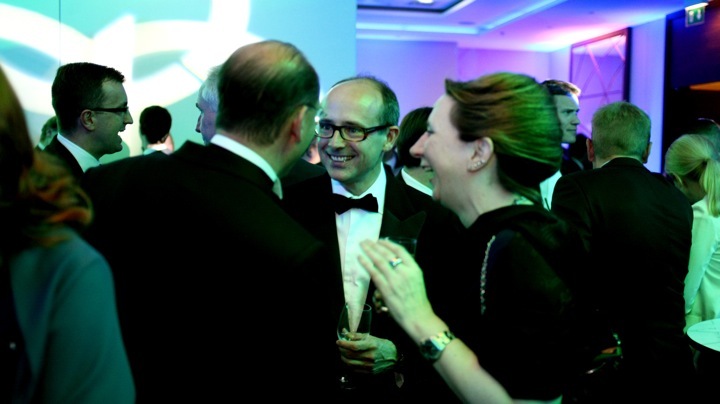 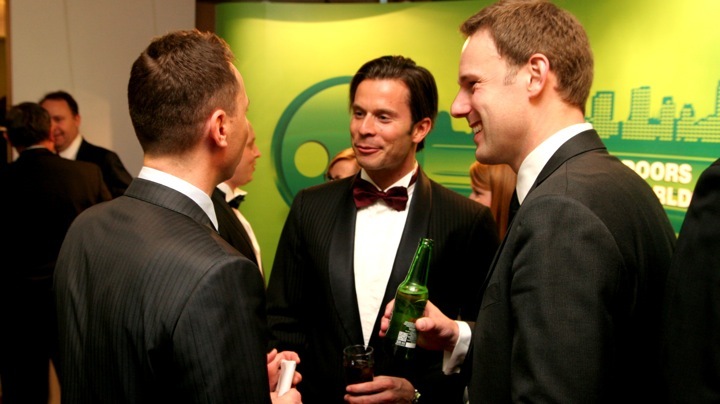 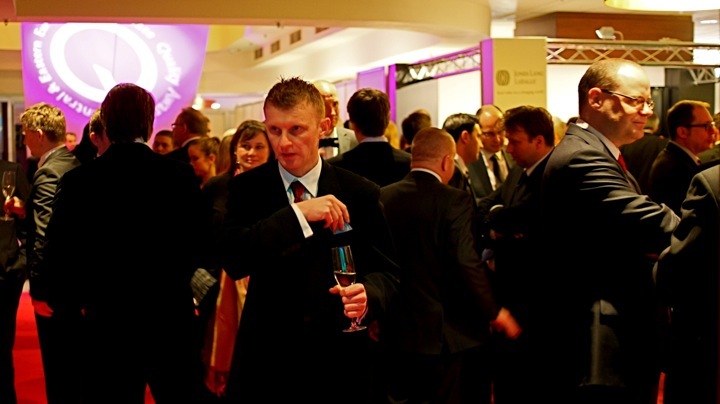 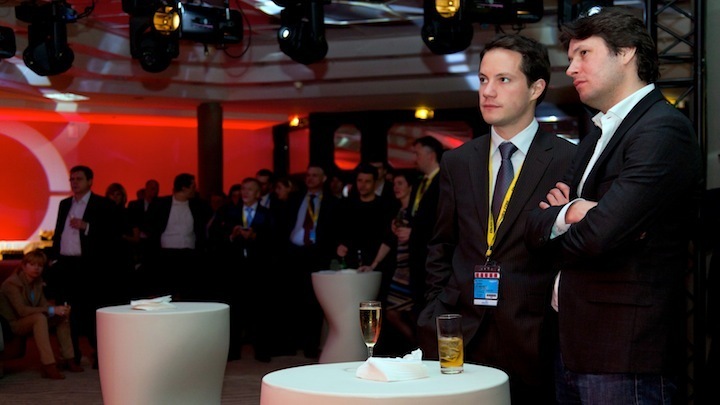 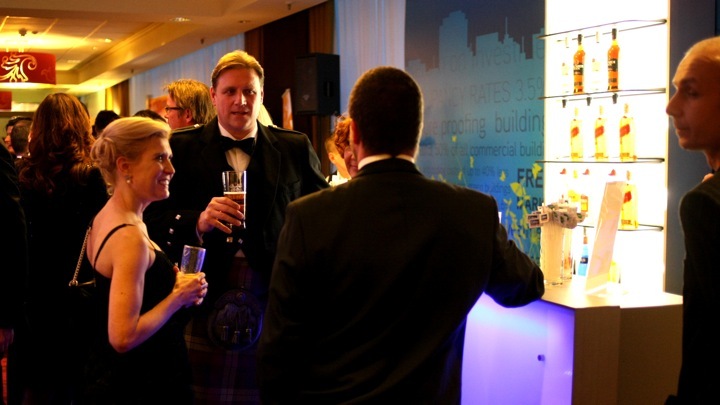 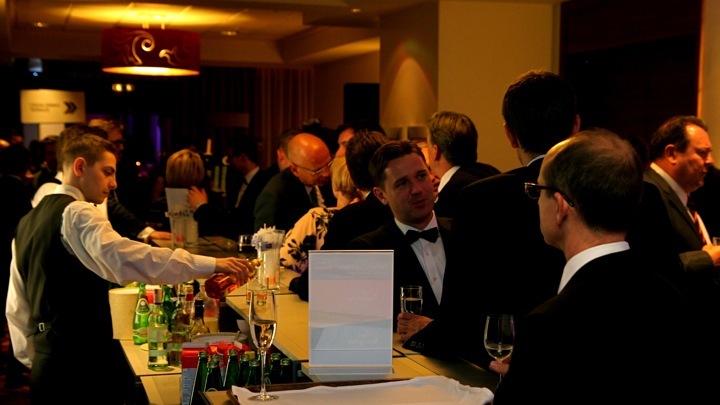 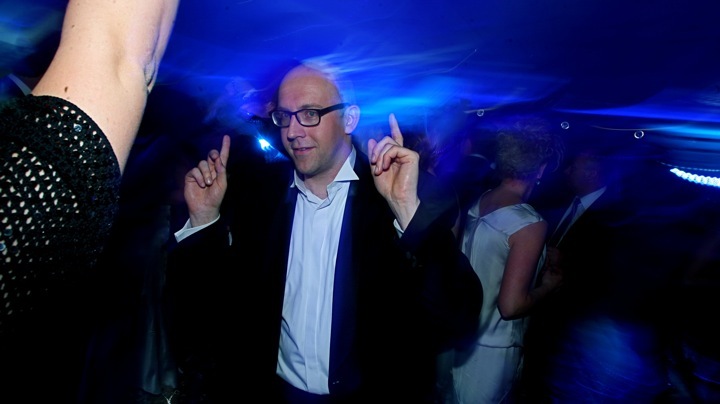 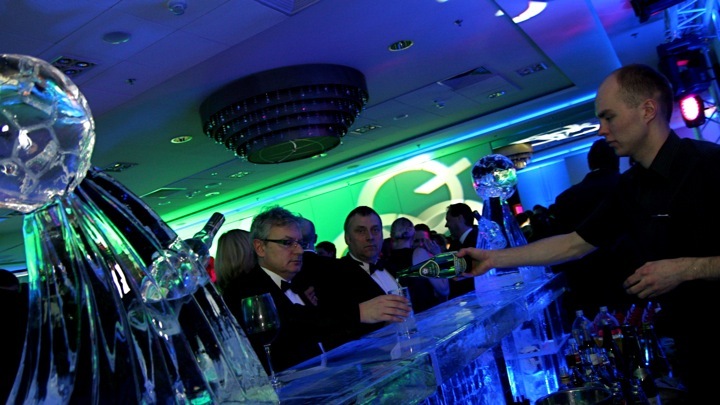 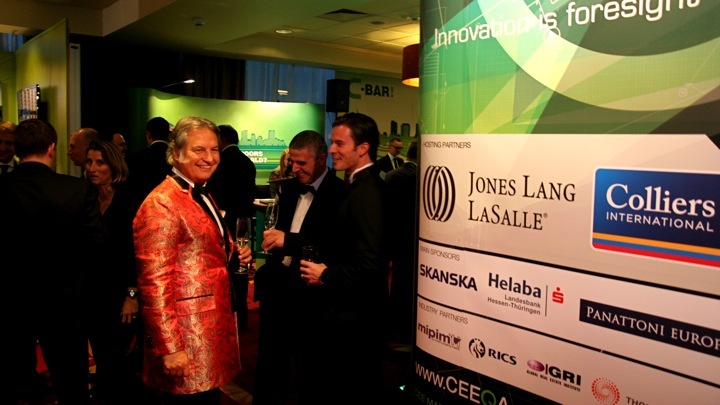 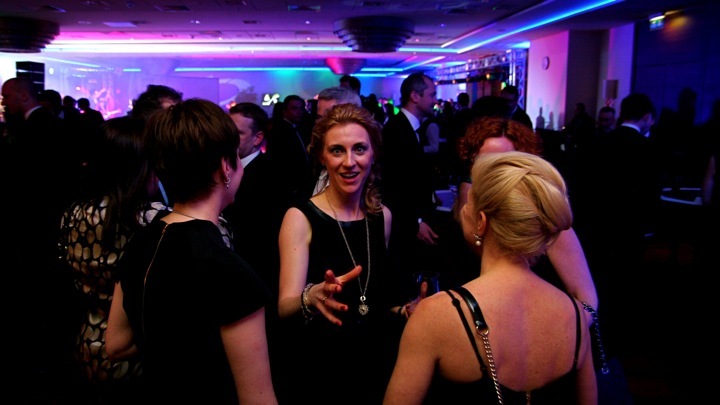 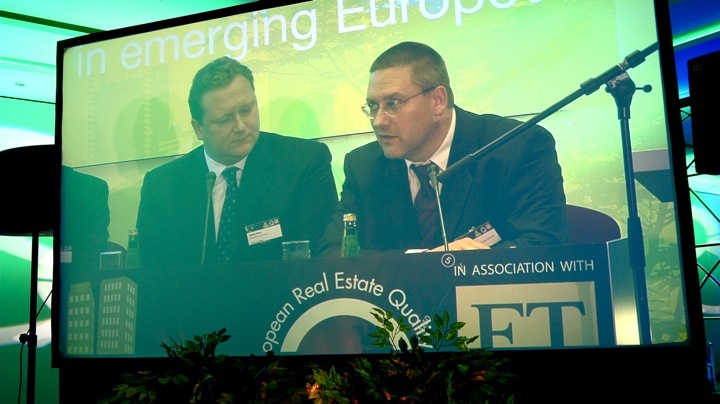 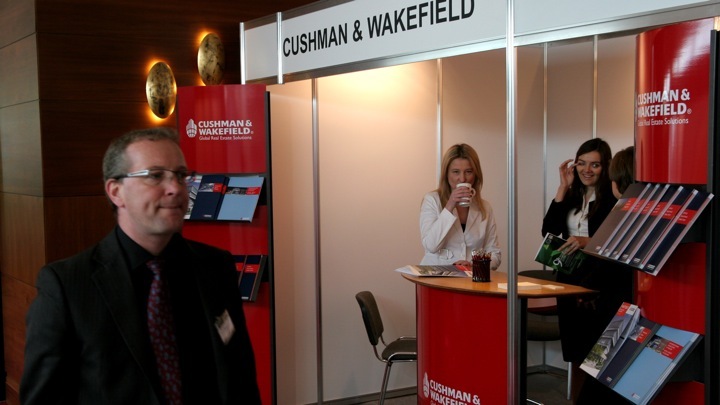 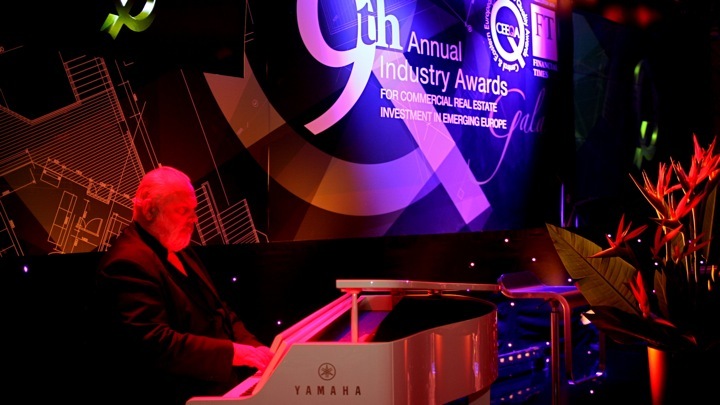 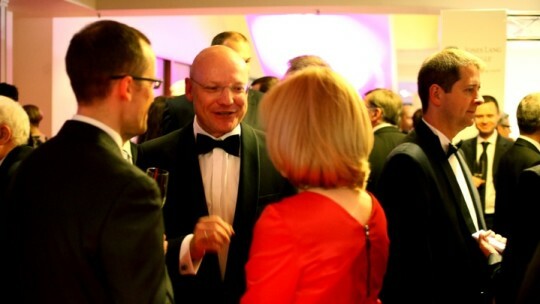 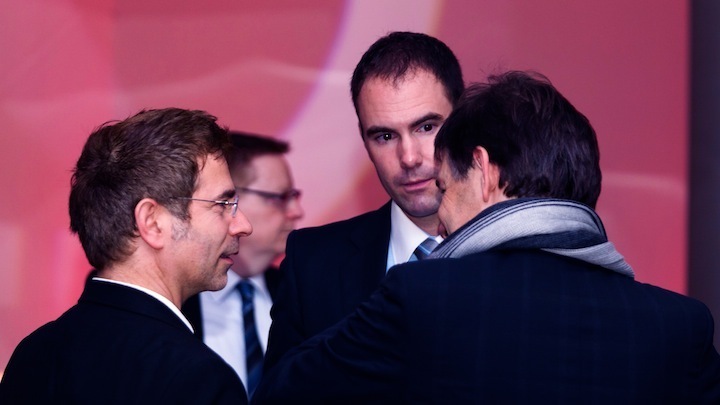 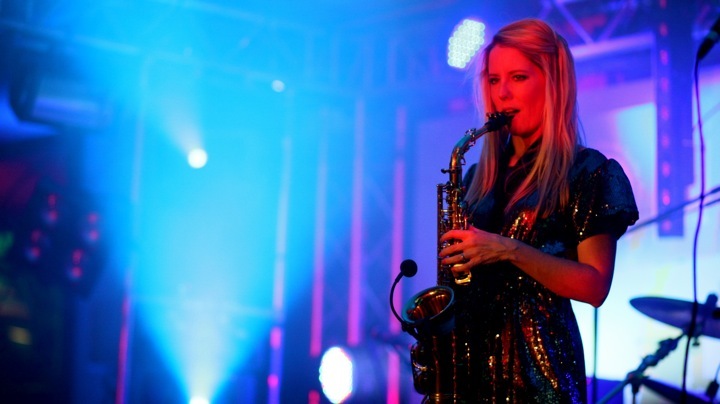 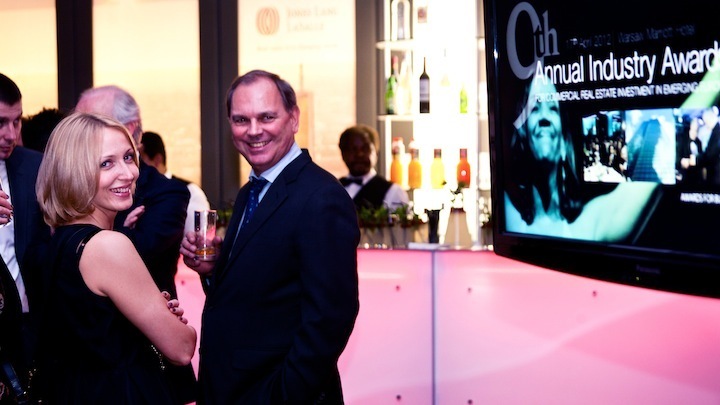 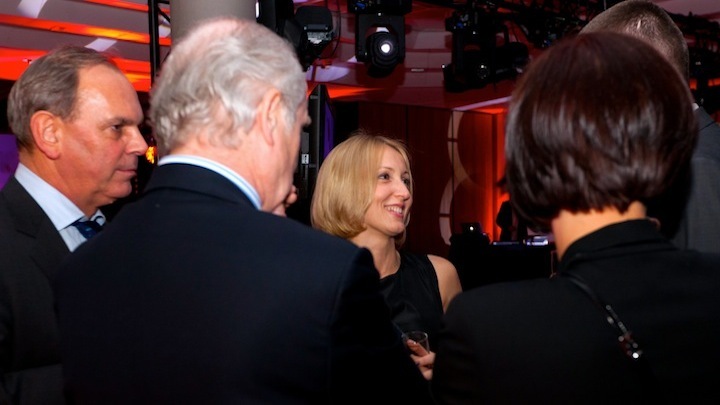 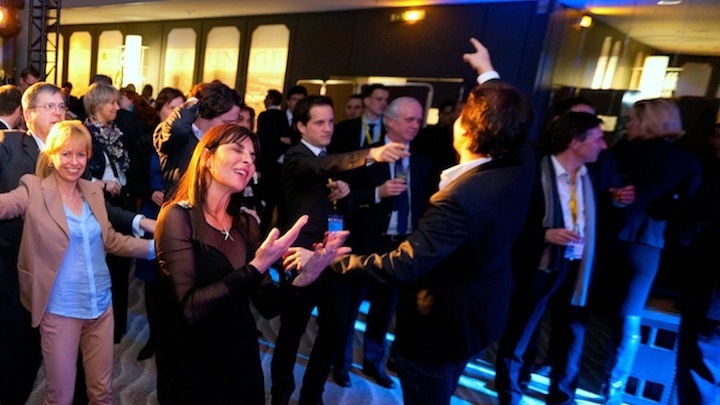 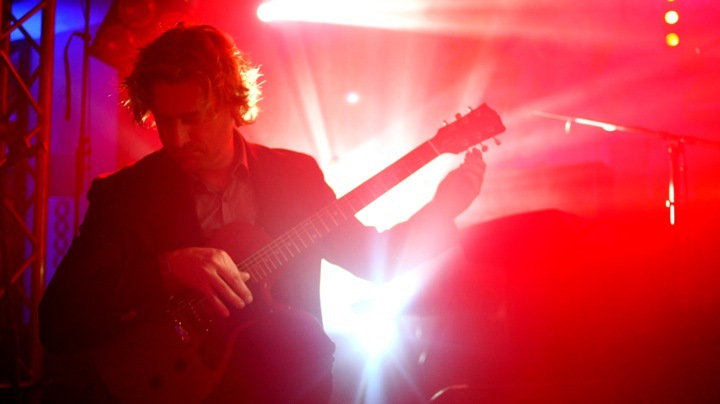 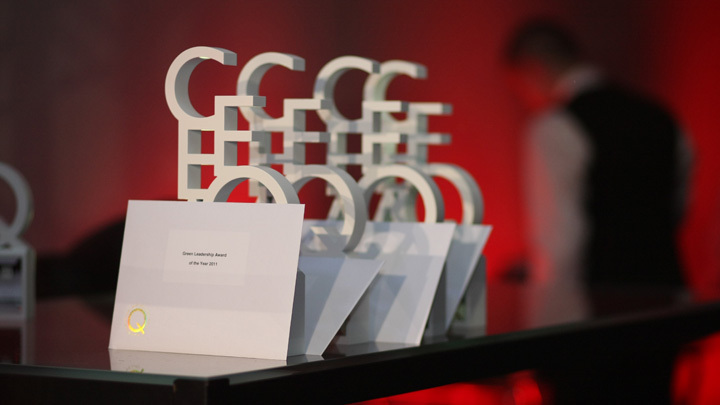 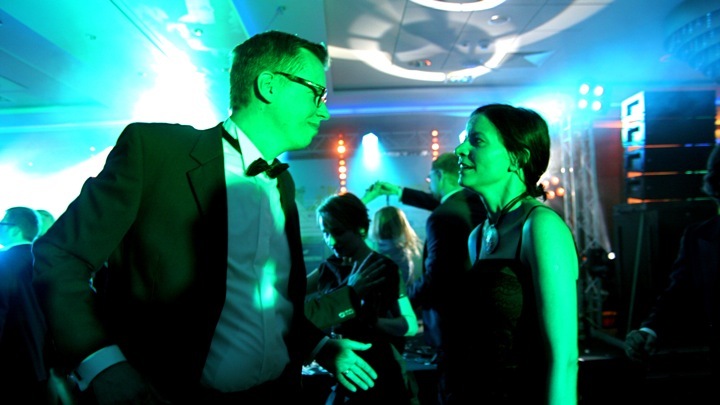 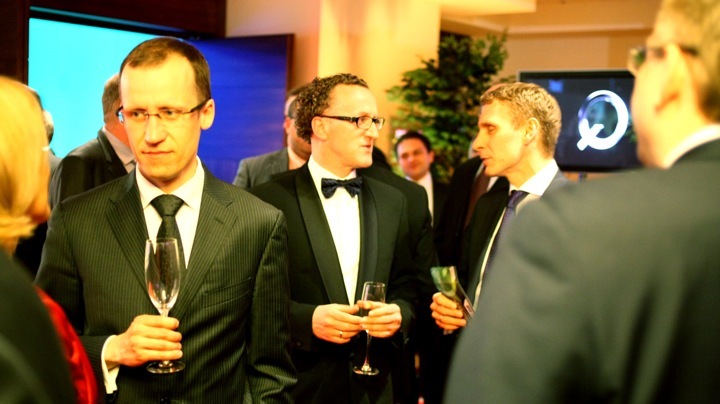 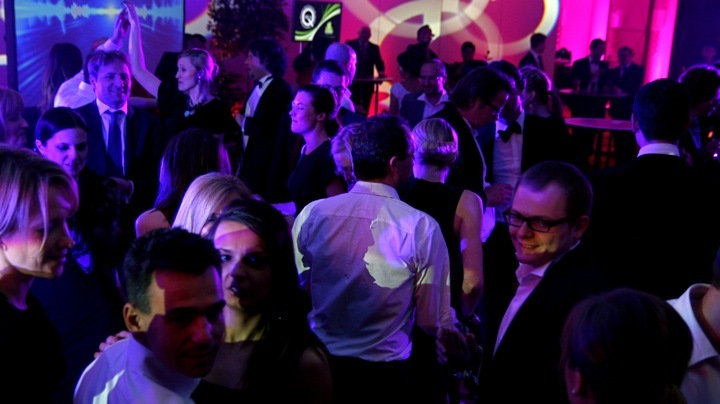 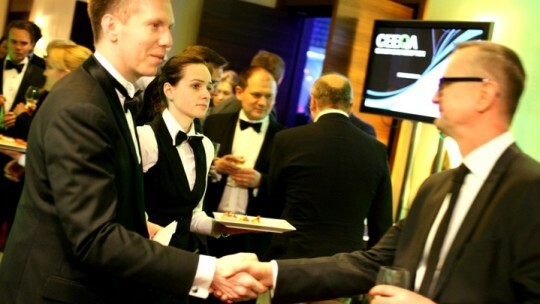 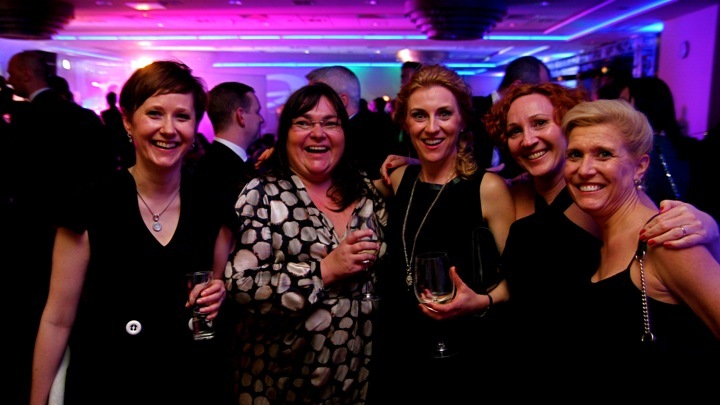 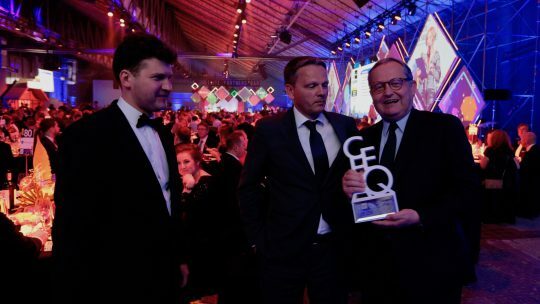 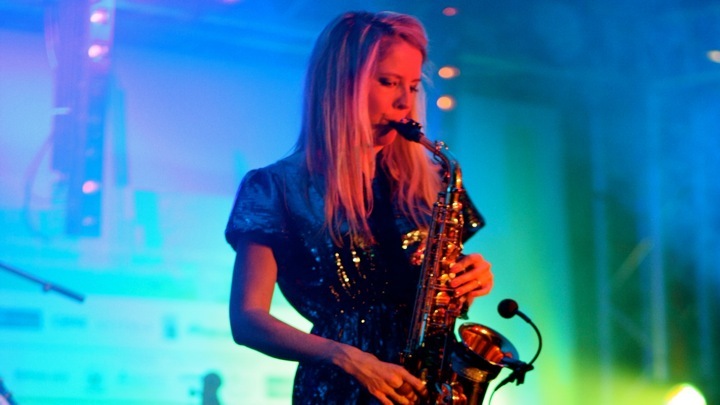 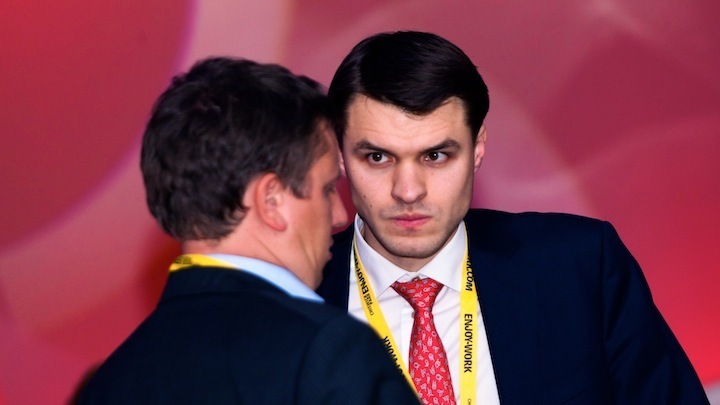 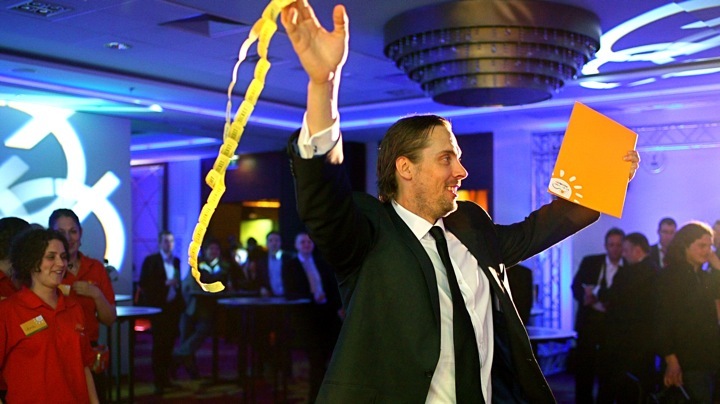 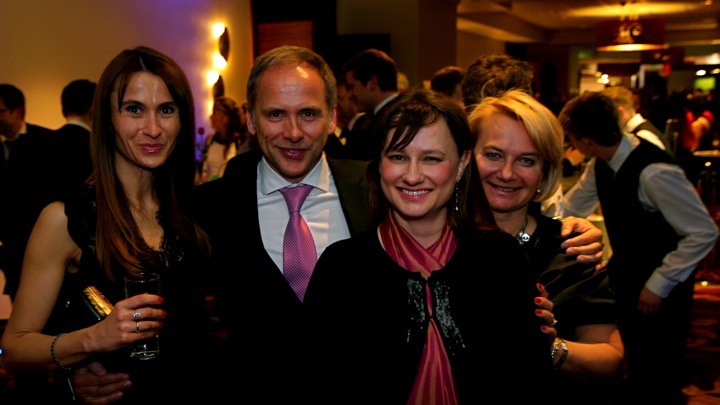 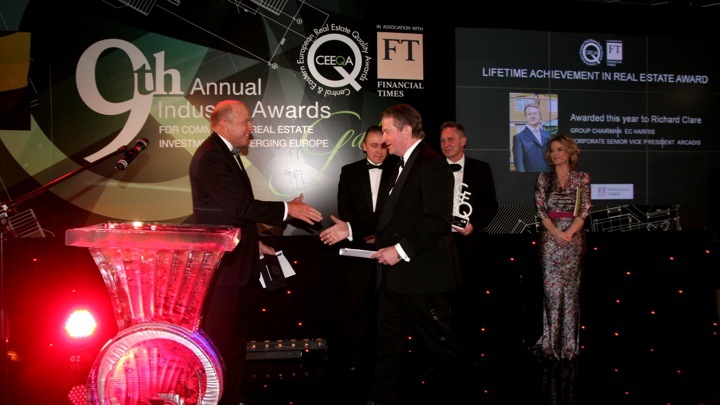 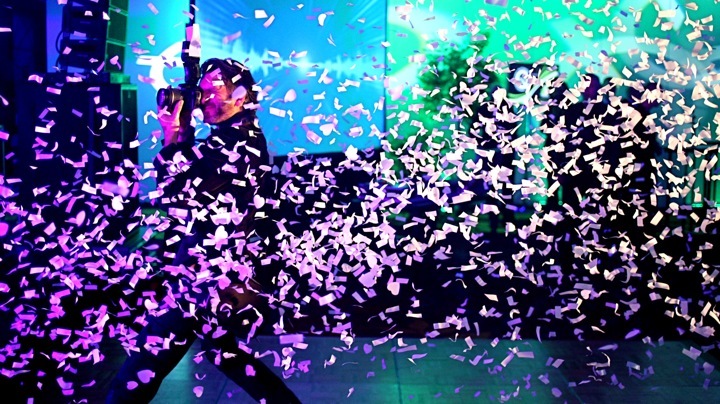 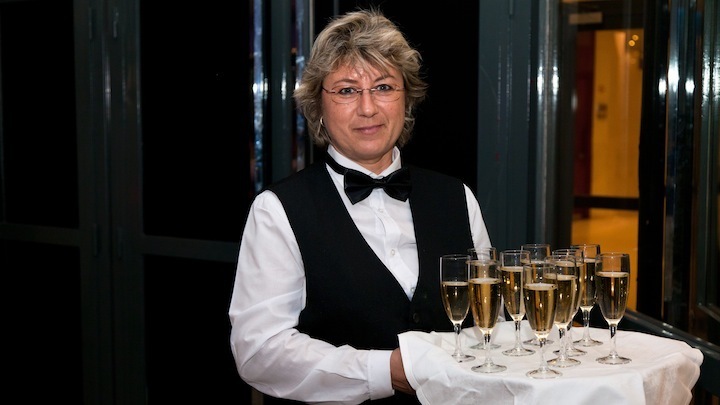 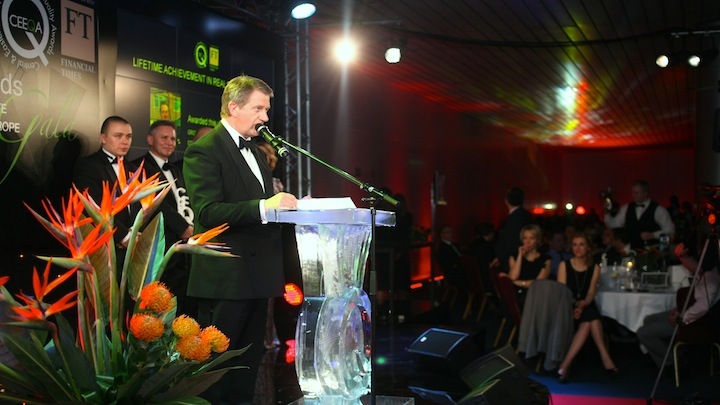 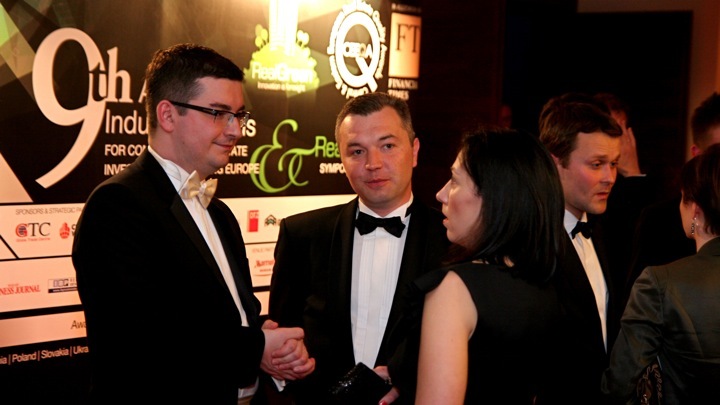 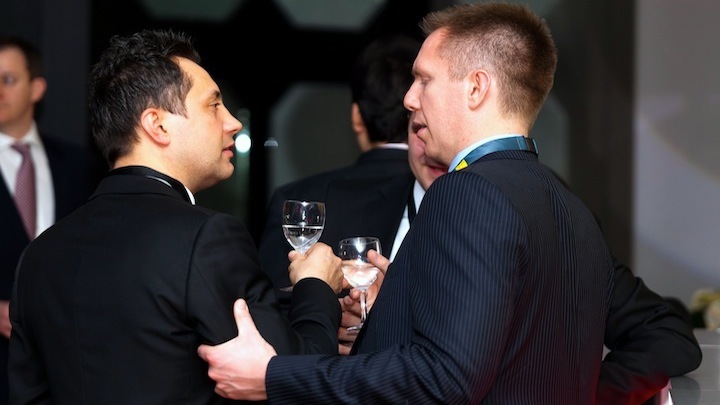 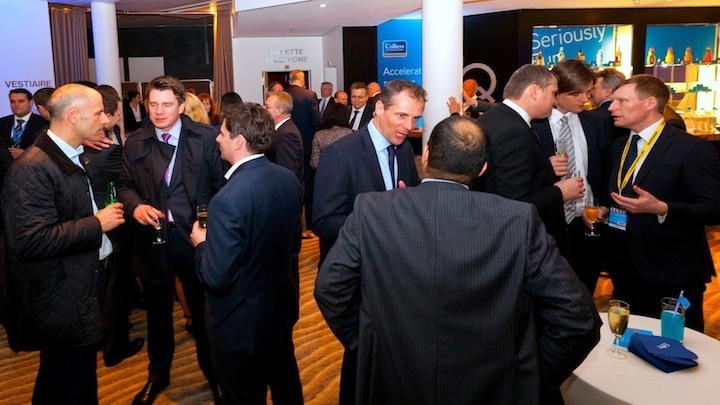 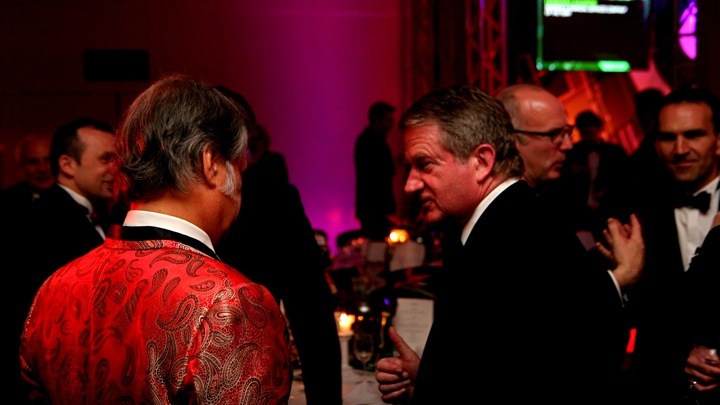 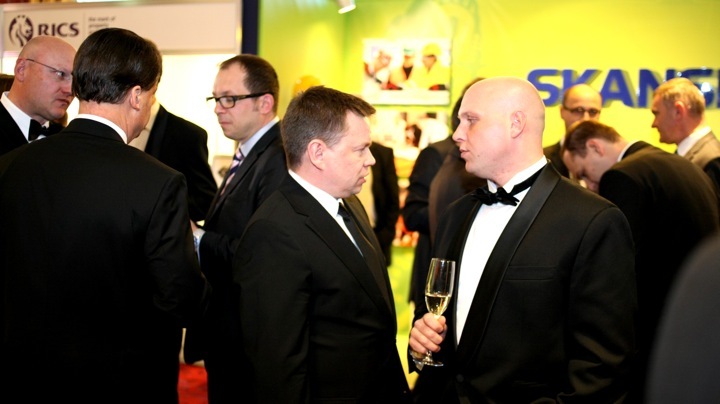 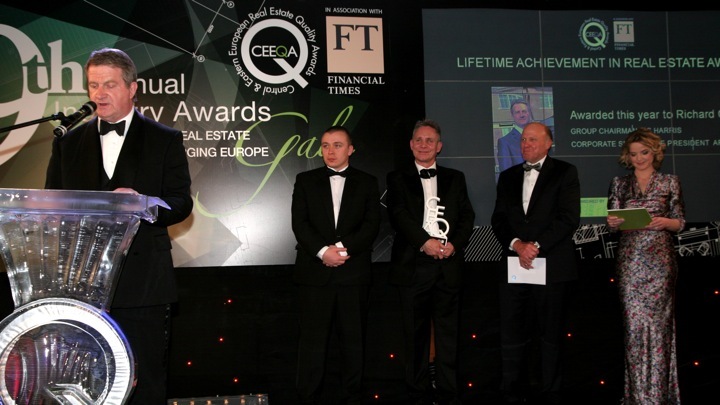 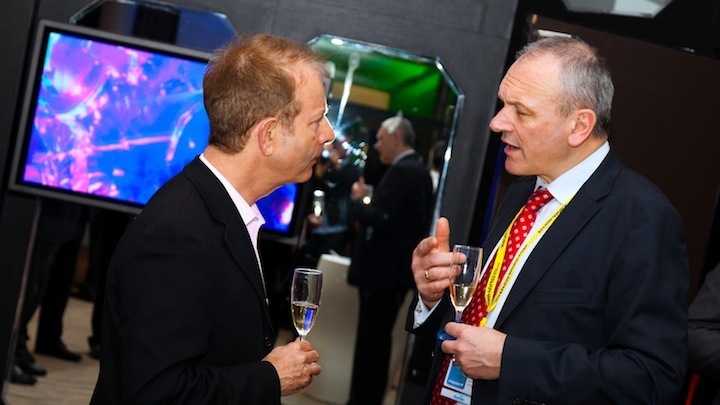 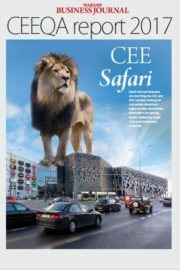 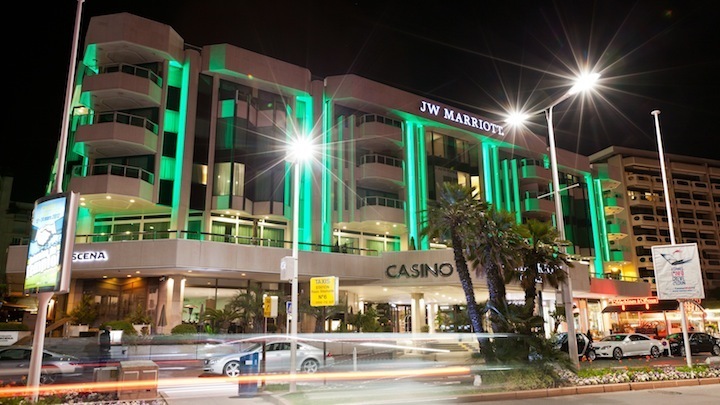 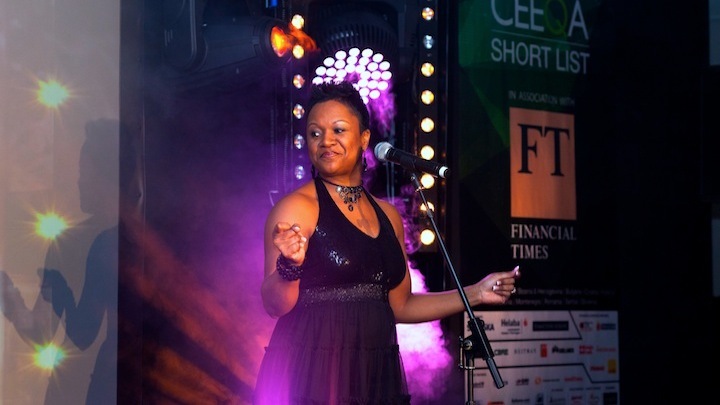 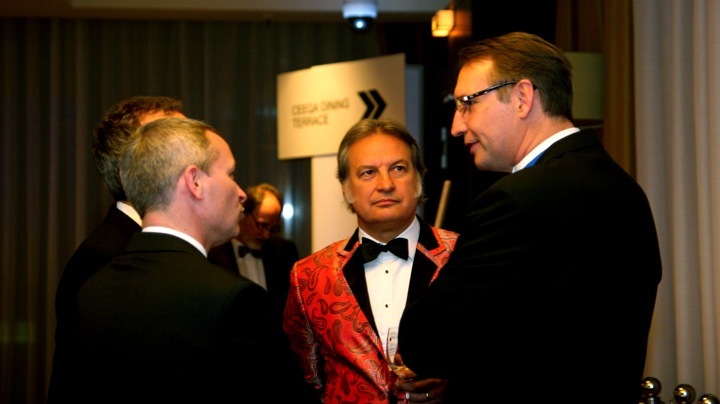 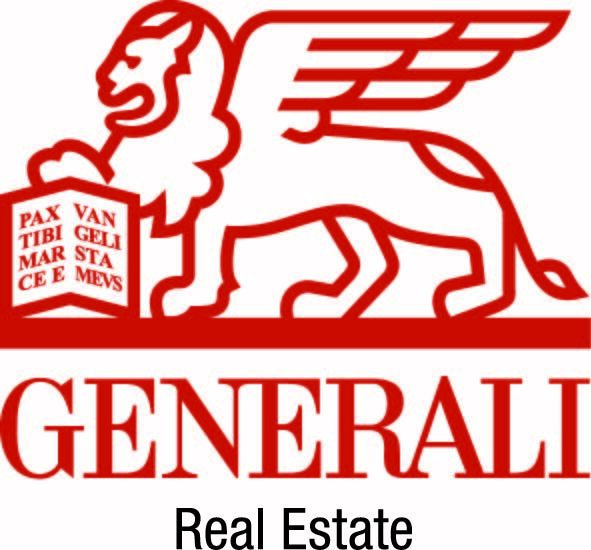 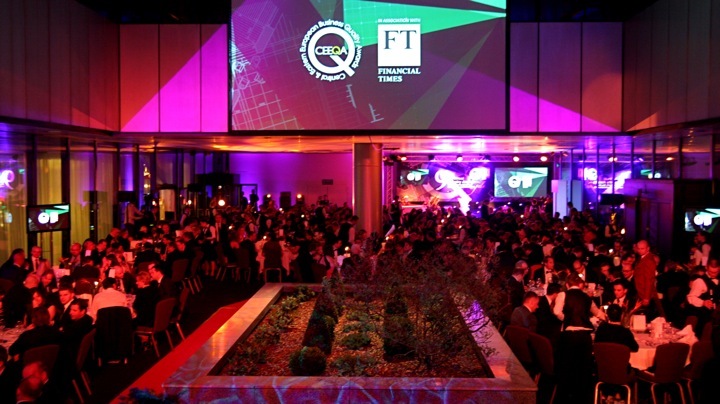 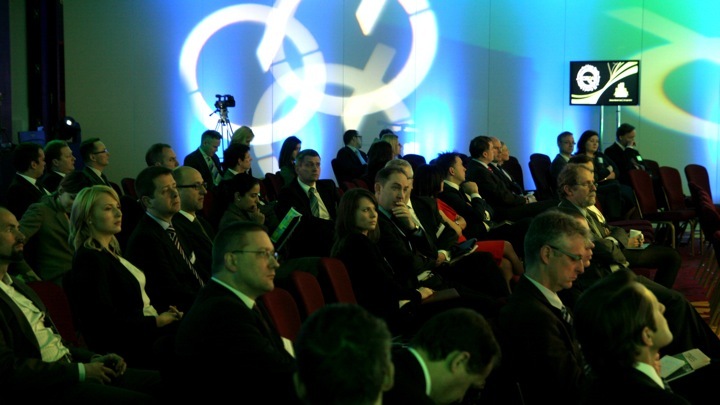 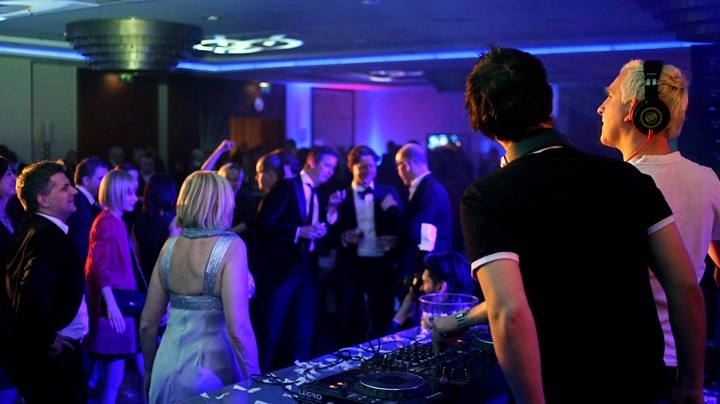 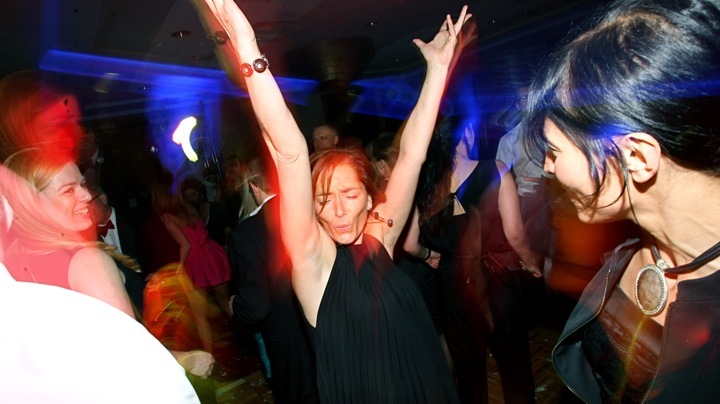 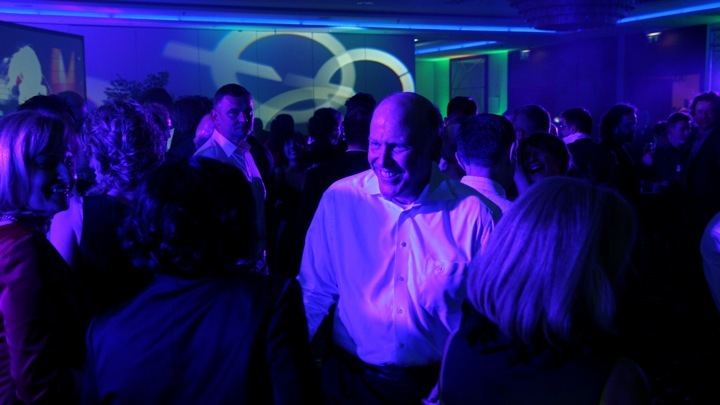 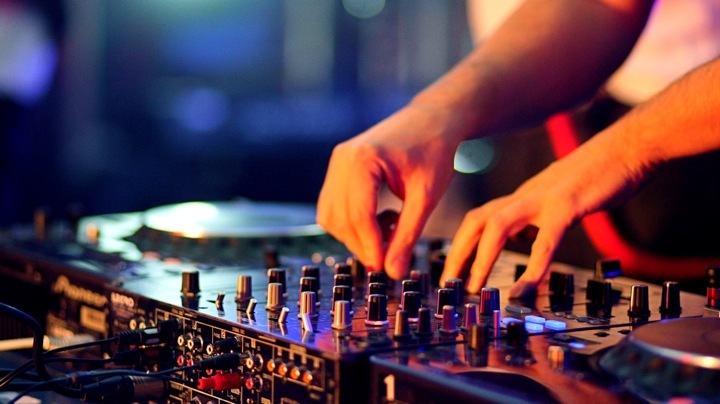 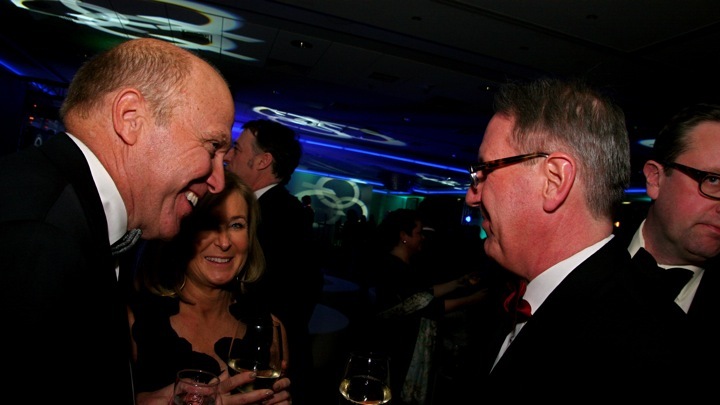 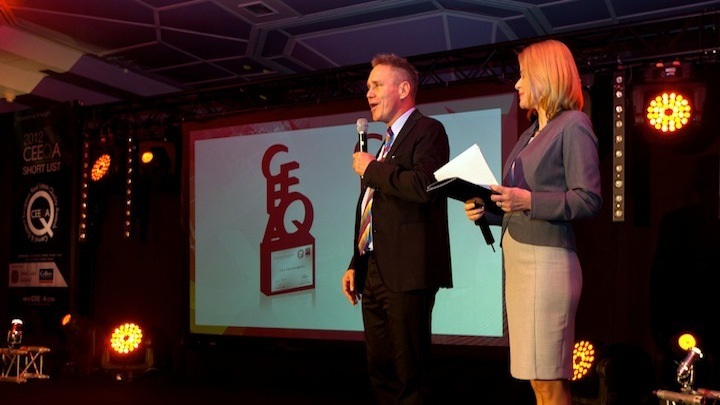 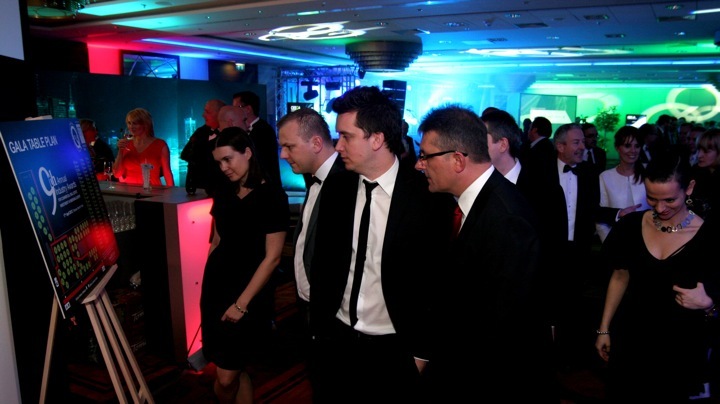 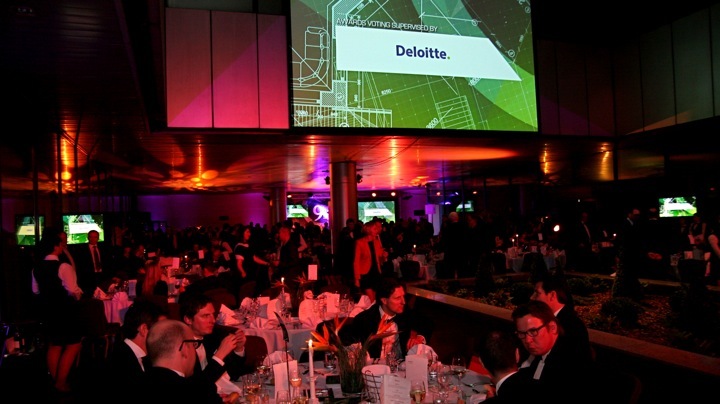 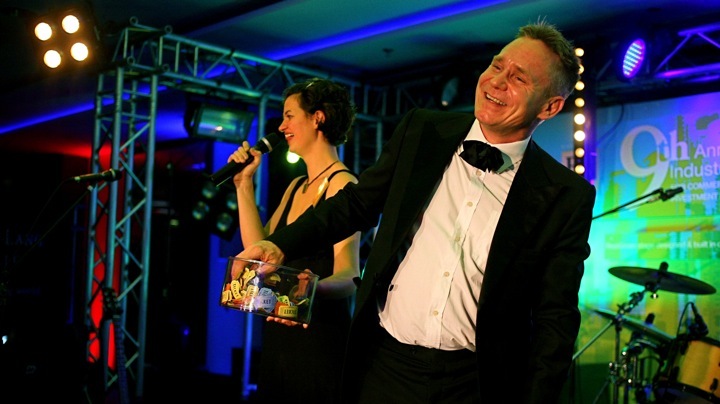 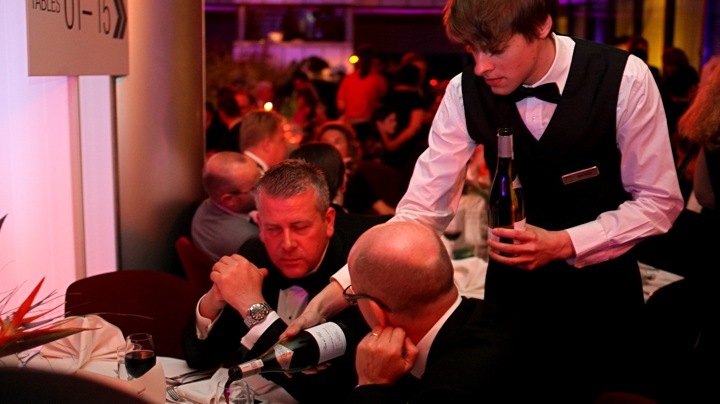 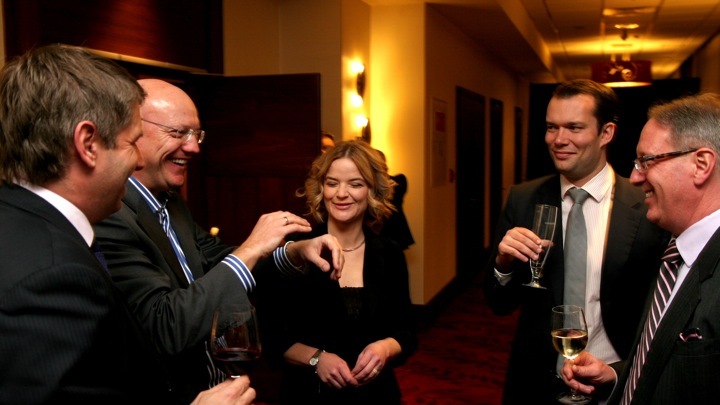 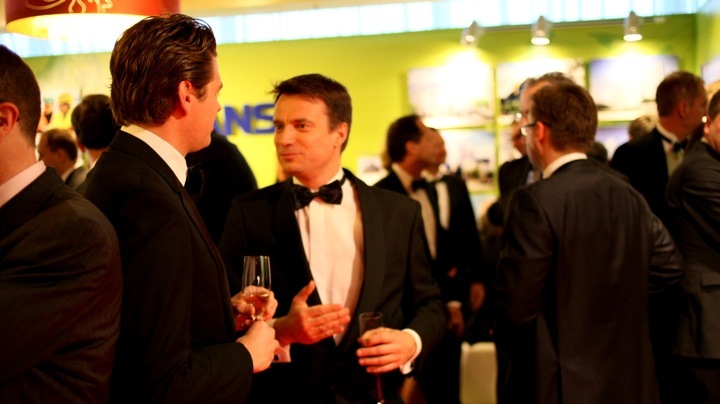 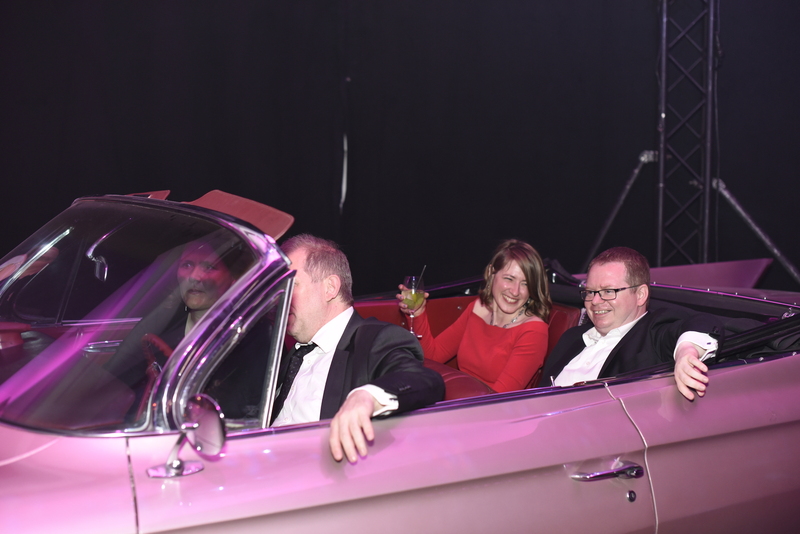 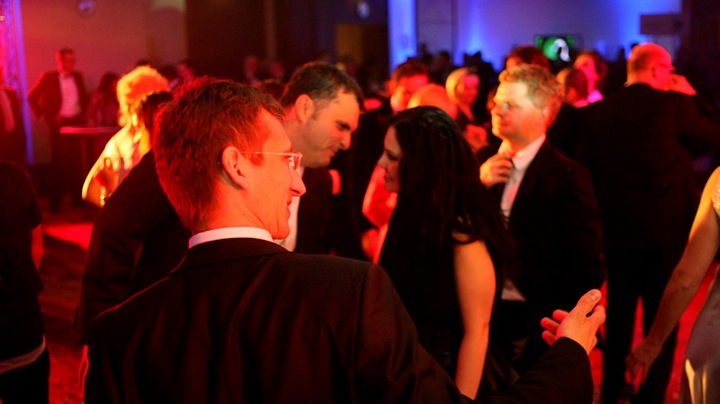 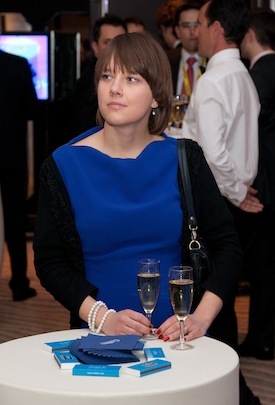 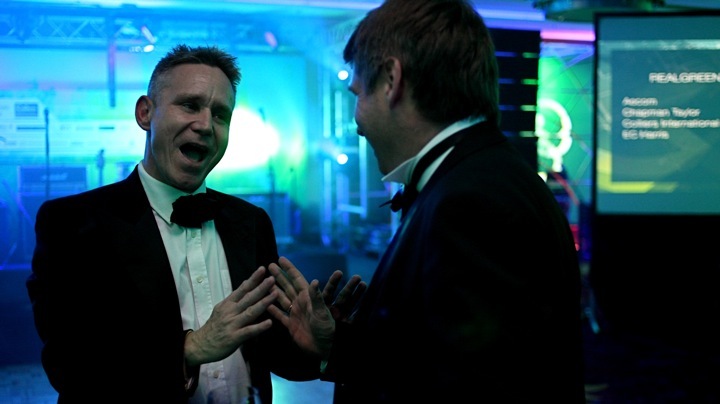 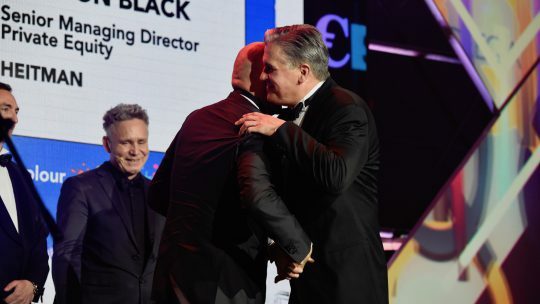 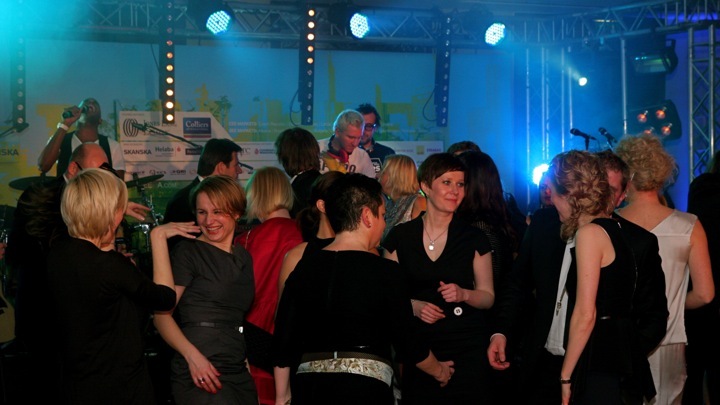 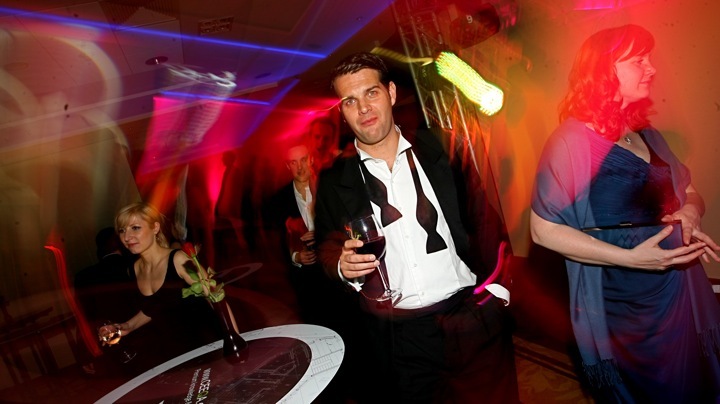 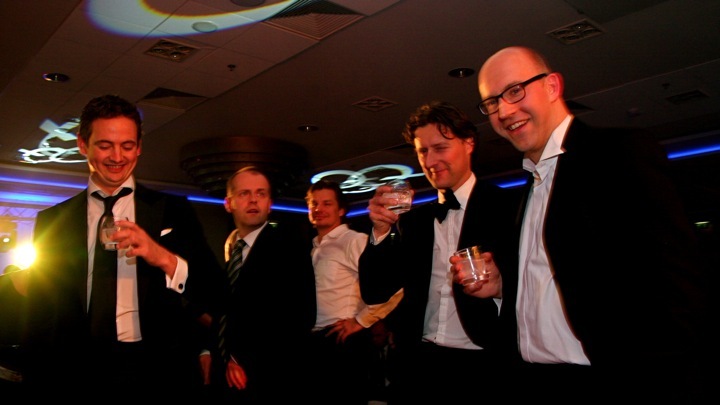 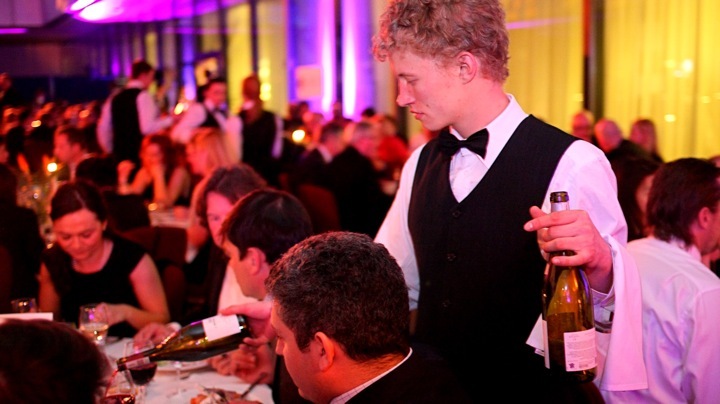 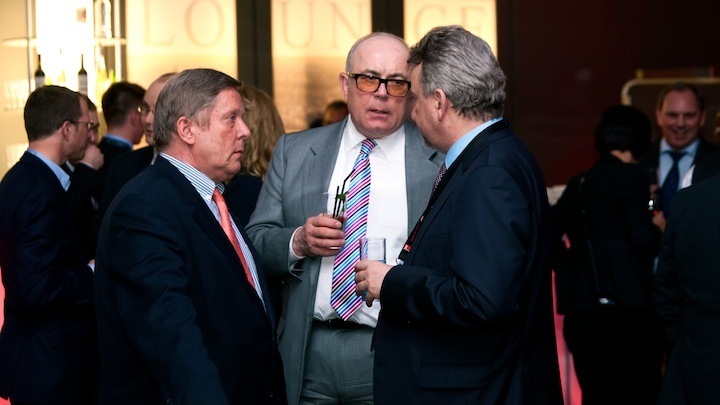 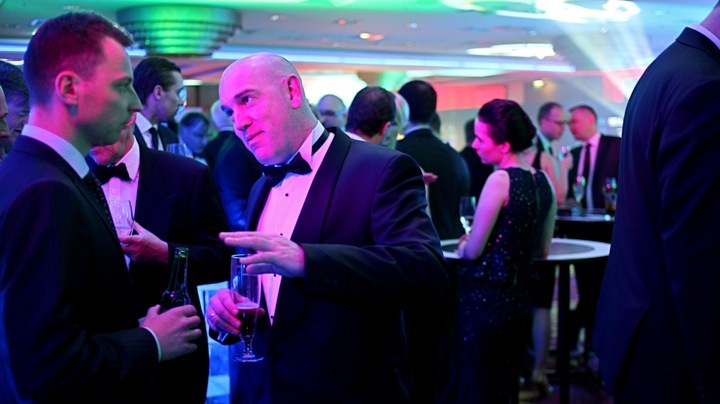 But it was the CEEQA Gala at the Warsaw Marriott Hotel, and the results of the New Europe property sector’s main annual awards, that remained centre stage. 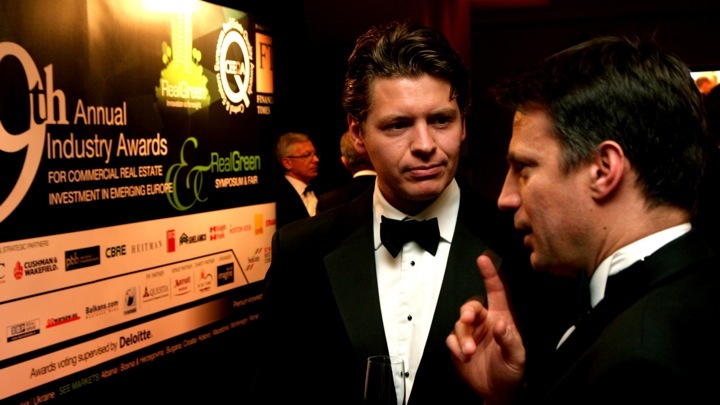 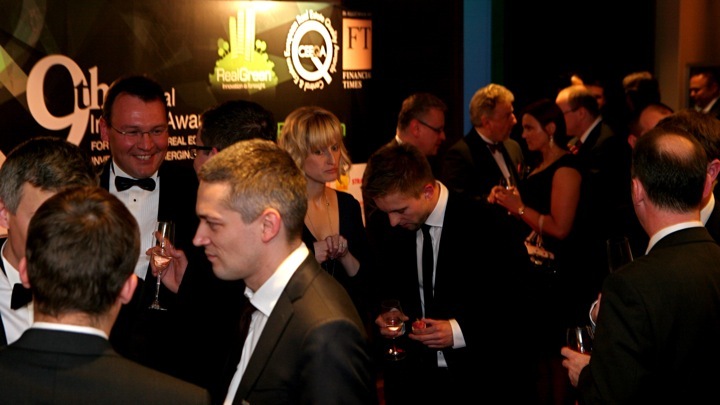 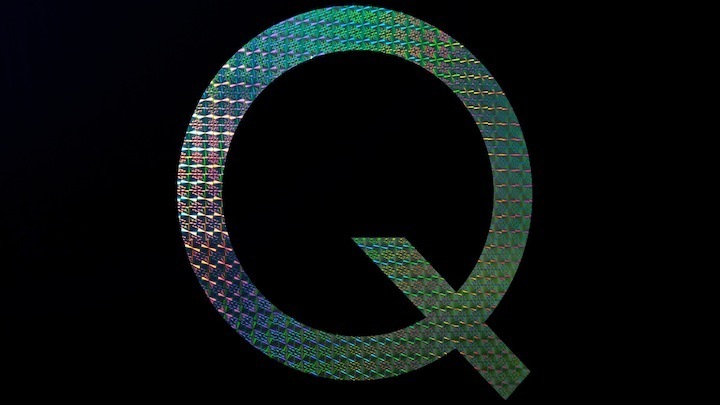 At the predictable end of the spectrum, a roll call of the usual suspects lined up to receive their awards in both the RealGreen Awards and main CEEQA Awards sections, no doubt the lingering tail of the global economic crisis playing into the hands of the biggest fish in the pond. 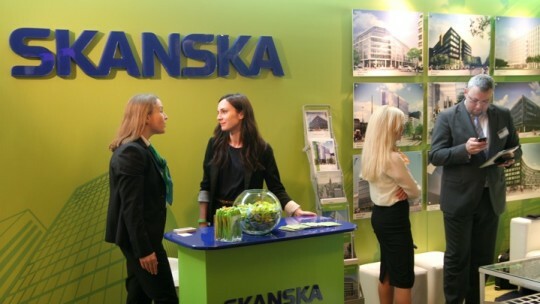 TriGranit Development Corporation came out top among developers with the Developer of the Year title, Skanska Commercial Development Europe underlined its green building credentials with awards for RealGreen Developer of the Year and overall Green Leadership, and one of the true giants of the sector, the Rondo 1 building in Warsaw – winner of the CEEQA Building of the Year award in 2007 – weighed in once more with the RealGreen Building of the Year for its effective and innovative green retrofit by owner MGPA. 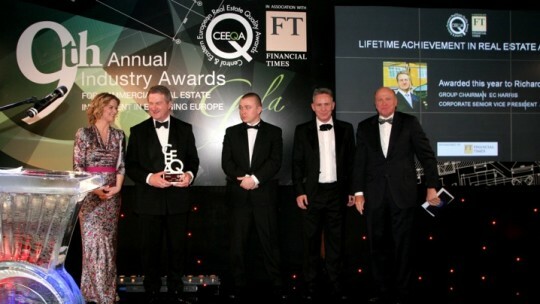 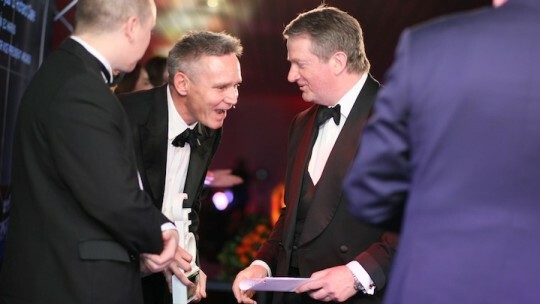 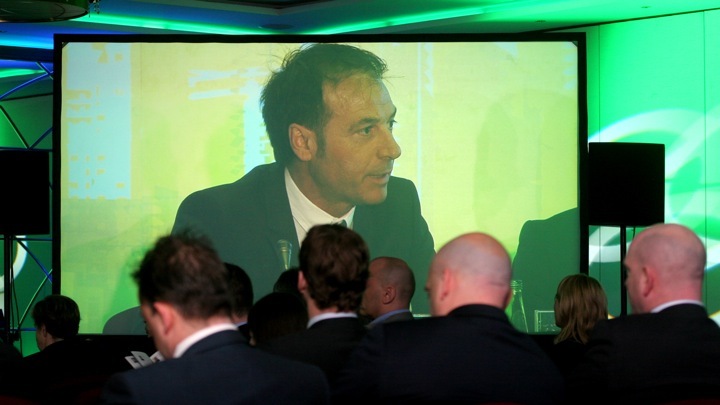 The Industrial Developer of the Year was Panattoni Europe once again. 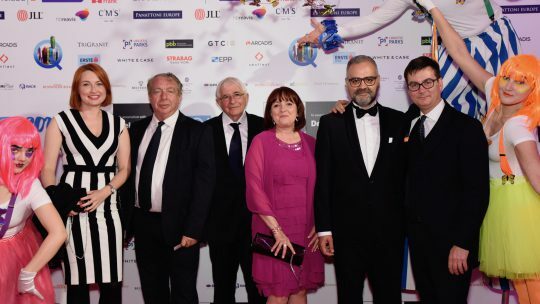 Among the the other regular winners were Salans (previously Altheimer & Gray, now Dentons) with Legal & Consulting Firm of the Year, architects Chapman Taylor with Development Services Company of the Year and Strabag with Construction Company of the Year. 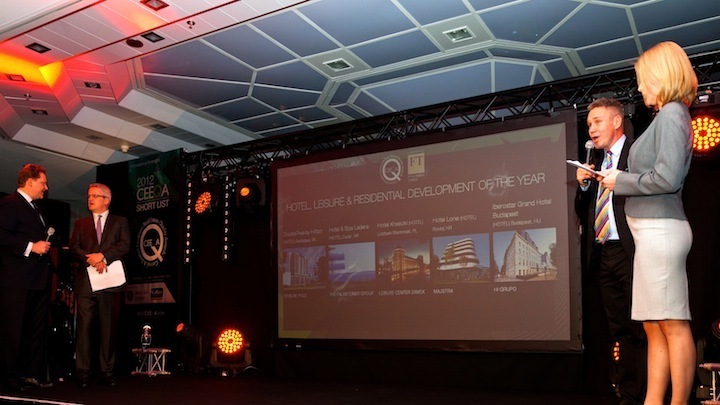 In the Building Awards, Yareal were successful in the Office Development of the Year category with the Mokotowska Square refurbishment project in Warsaw while ECE’s Galeria Kaskada in Szczecin, Poland, was awarded Retail Development of the Year and the new National Stadium Warsaw took both the Hotel, Leisure and Residential Development of the Year award as well as overall Building of the Year. 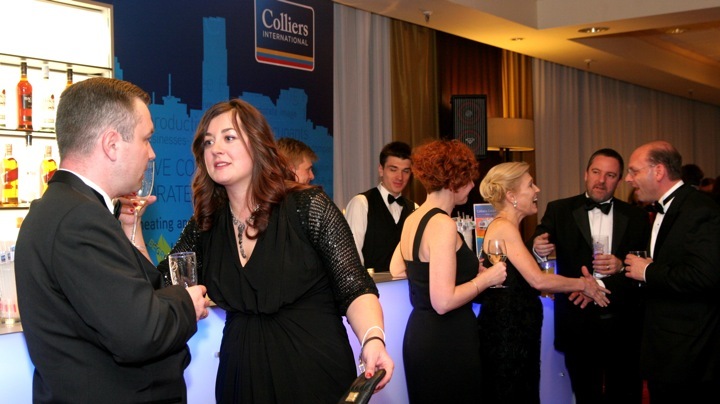 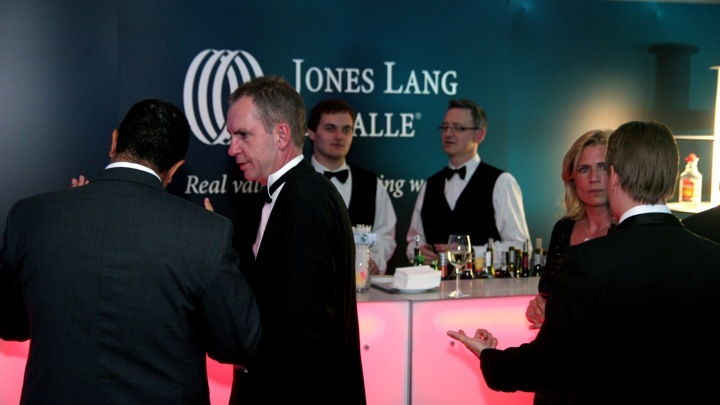 But it was Colliers International‘s big night in the main awards section, lifting a hat-trick of awards lifting both the Office Agency and Industrial Agency awards as well as Property Management Company of the Year, closely followed by Jones Lang LaSalle (now JLL) with the Retail Agency and Capital Markets Agency awards. 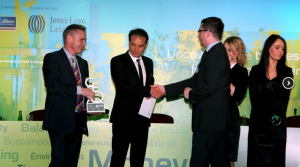 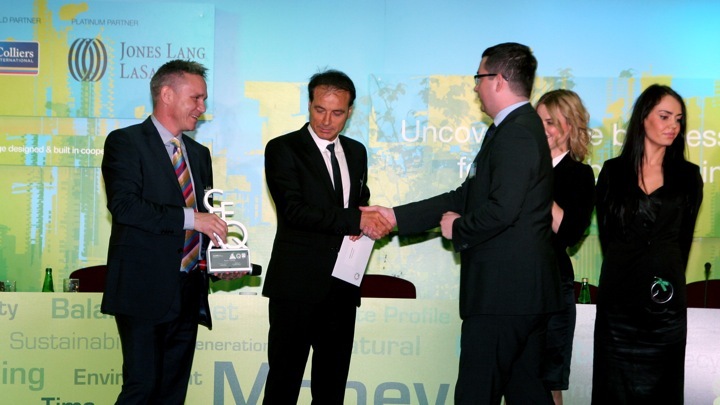 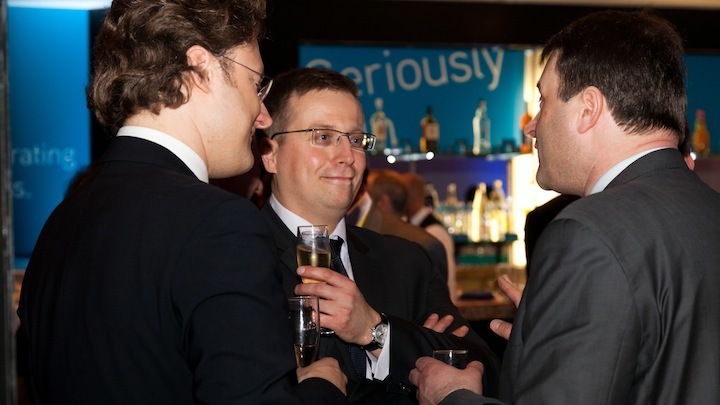 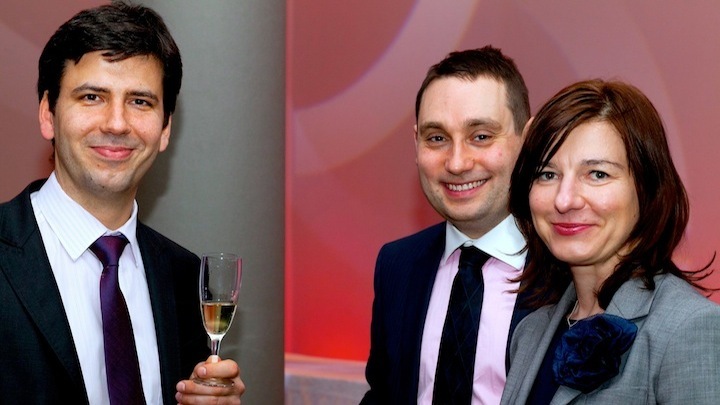 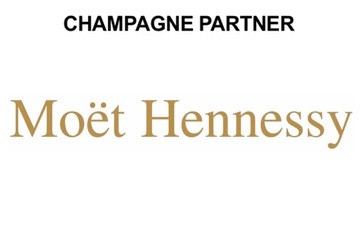 For a full list of the year’s award winners visit our 2012 Winners page. 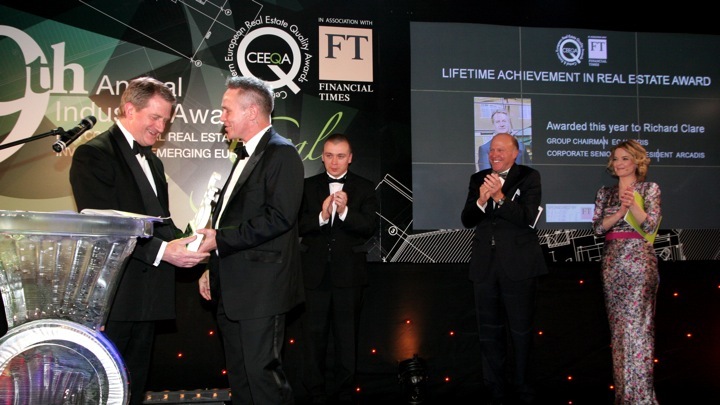 In the highlight award of the evening, the annual award for Lifetime Achievement in Real Estate was presented to Richard Clare, long time Chairman of EC Harris (now Arcadis) and the architect of its success story and international expansion. 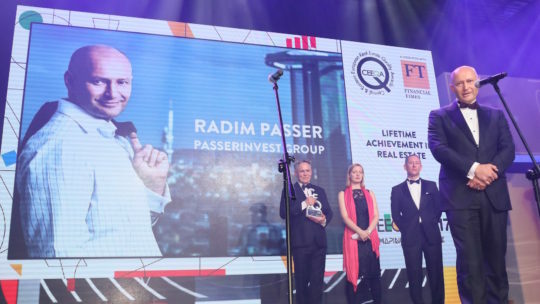 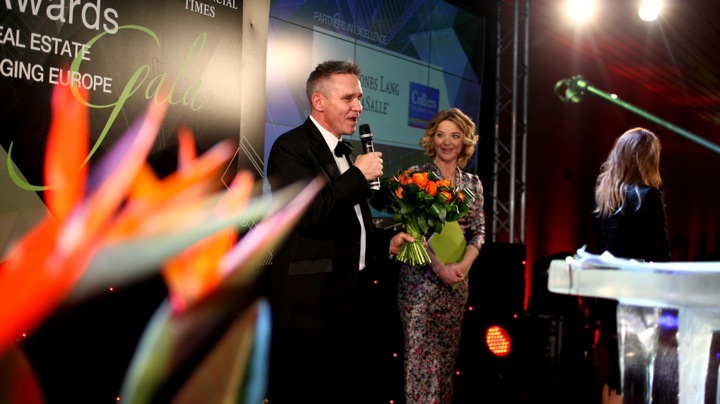 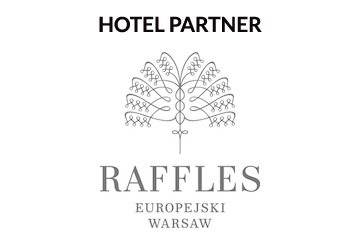 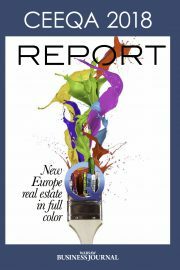 The award, sponsored by the Financial Times, is given each year to an inspirational industry leader who has made a significant and durable contribution to the real estate business and to the emerging Europe real estate investment sector and internationally. 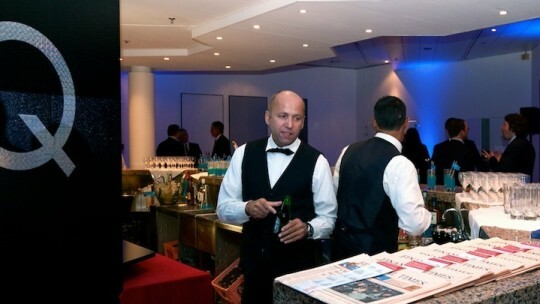 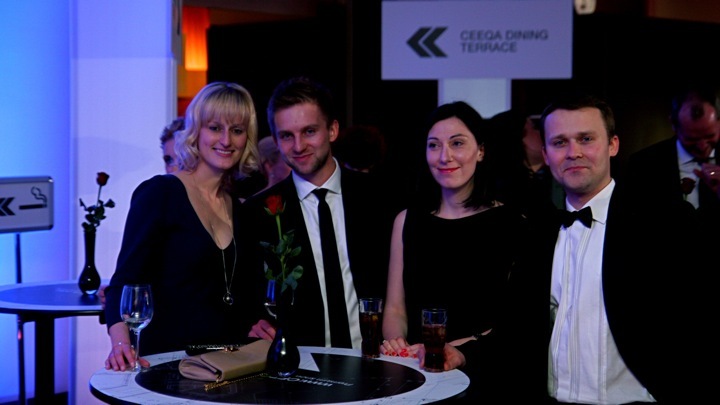 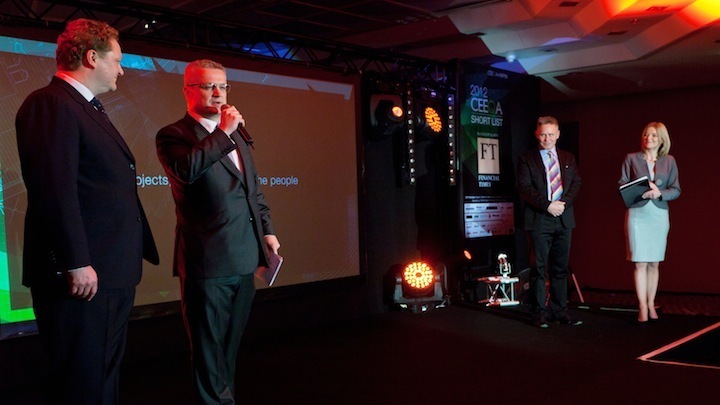 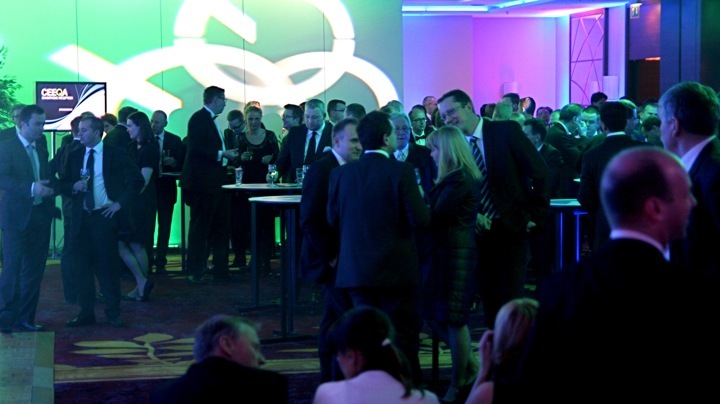 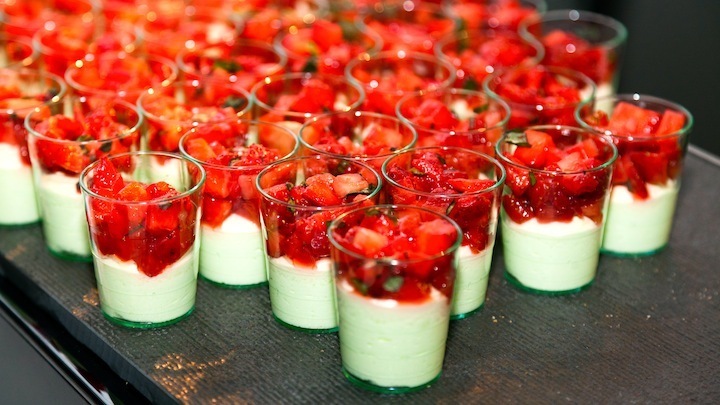 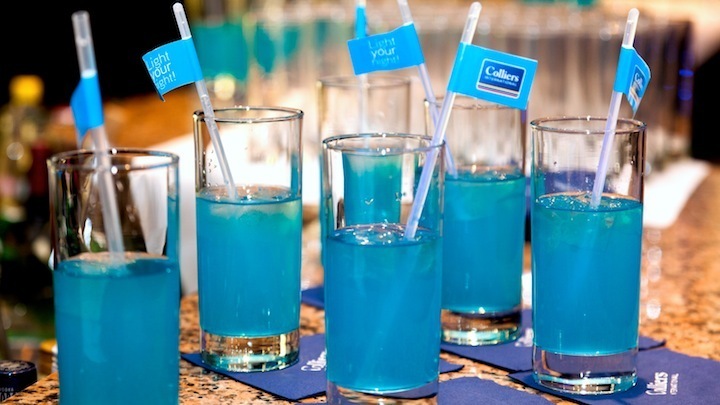 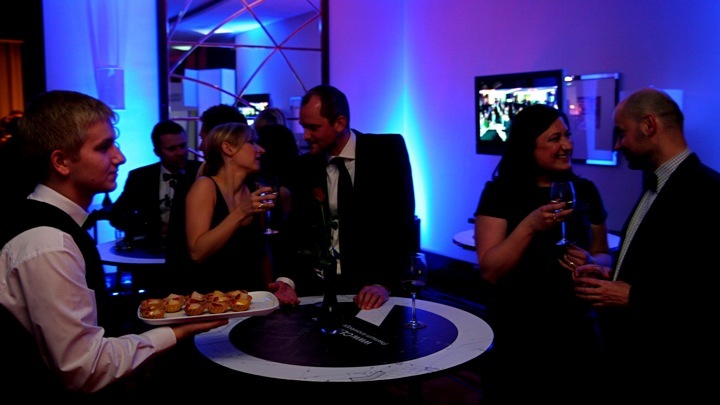 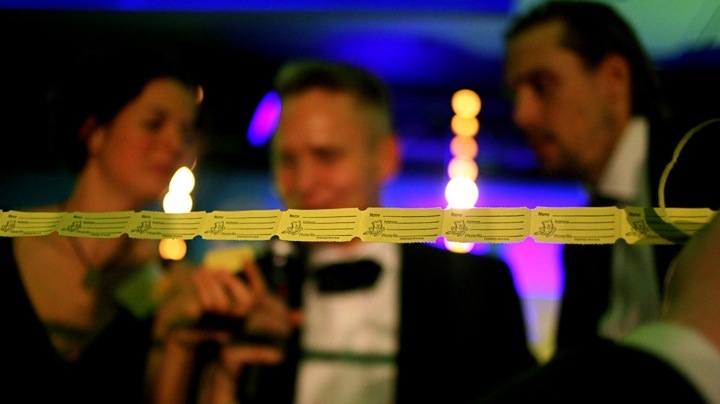 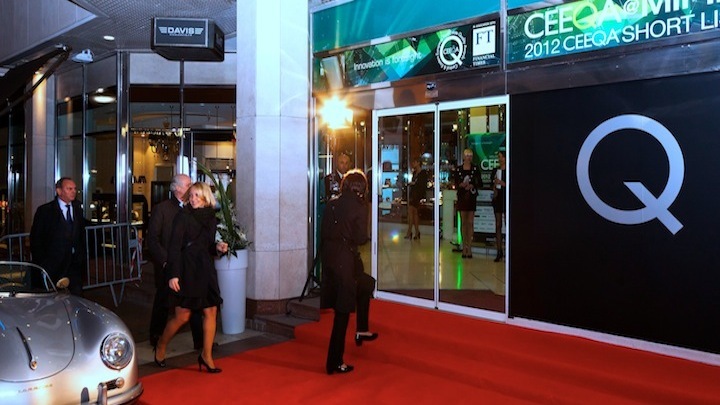 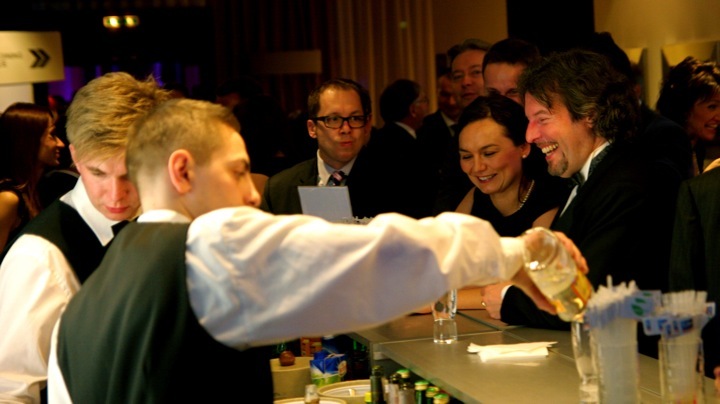 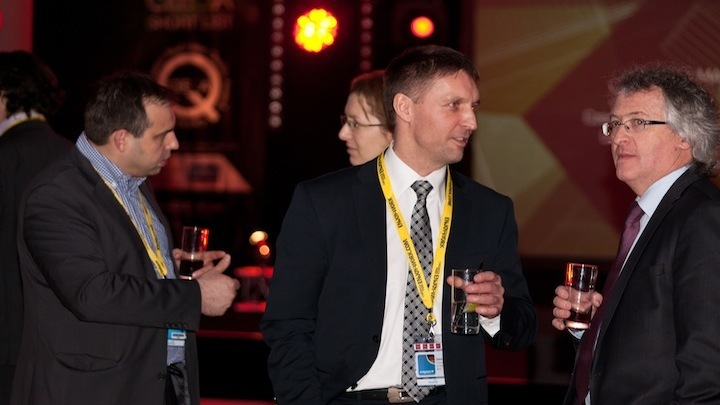 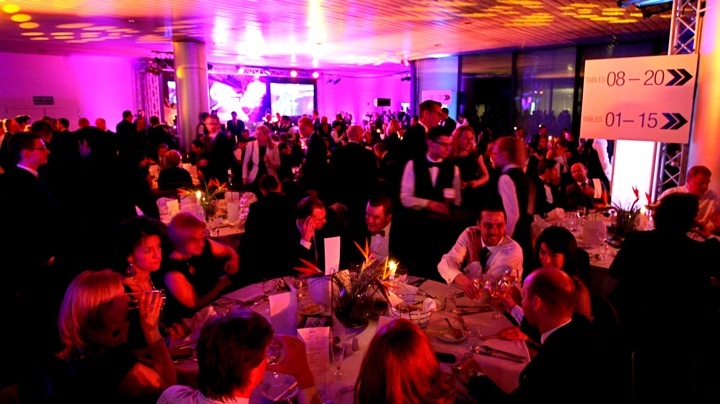 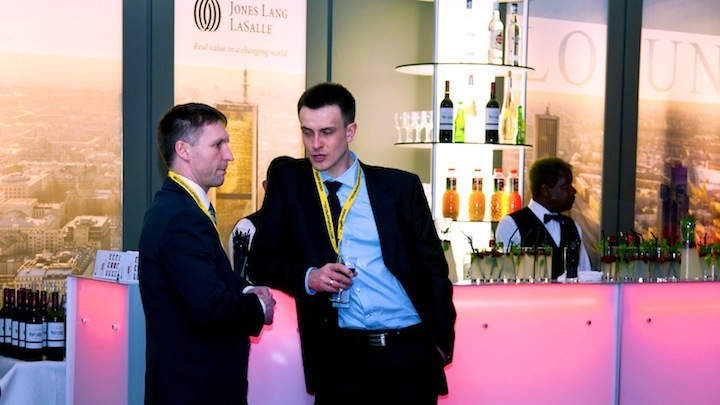 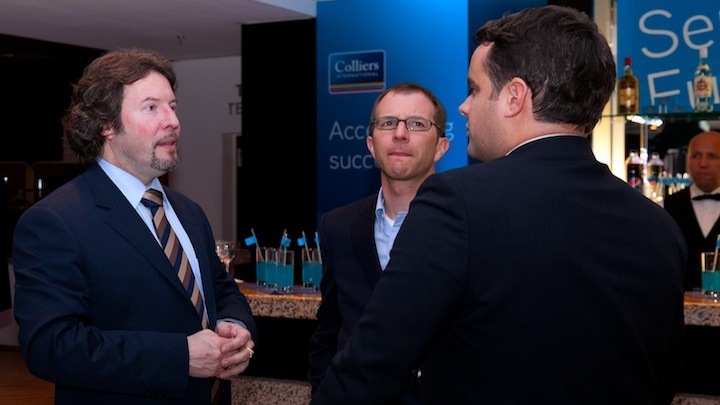 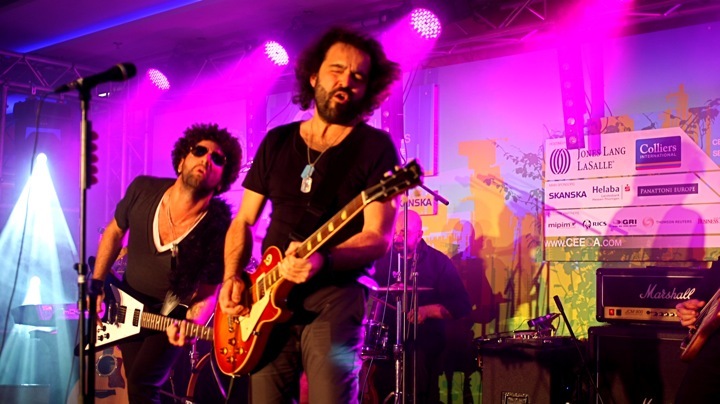 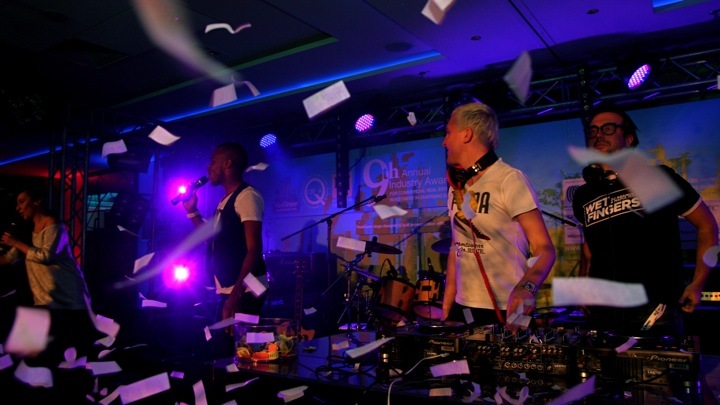 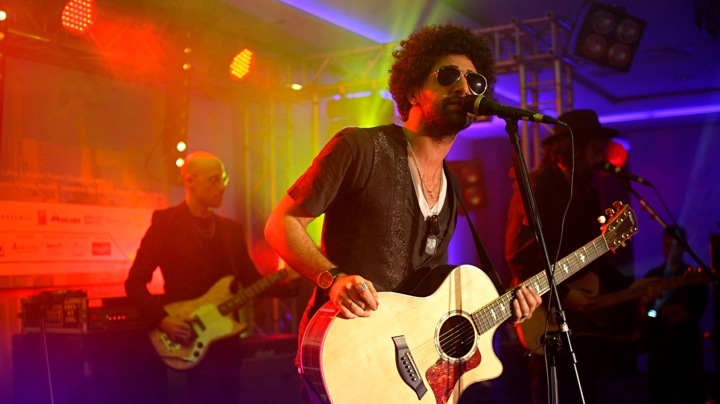 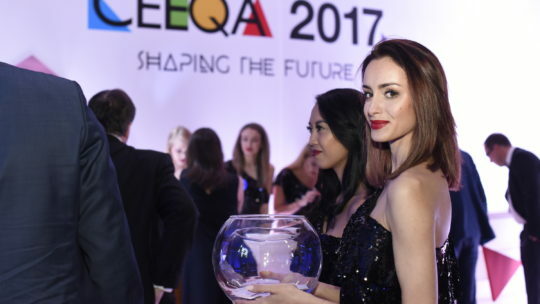 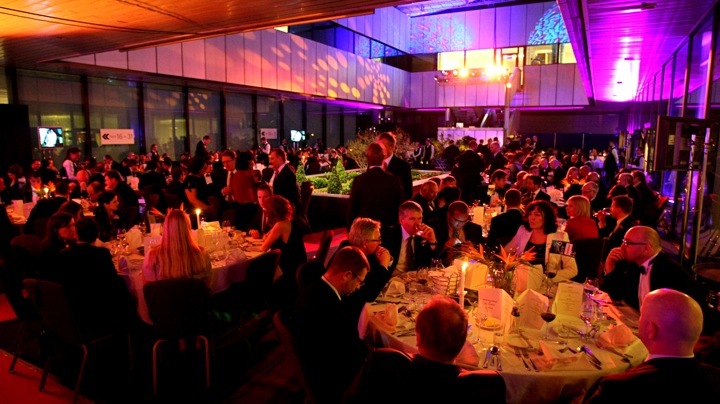 A special atrium had been built on the terrace of the Warsaw Marriott Hotel to house the growing CEEQA audience, and it was a night of celebration to remember. 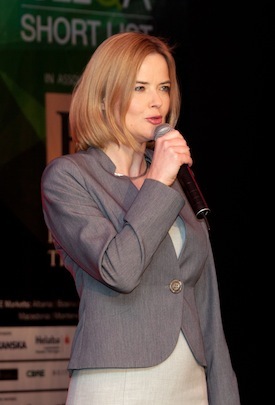 The awards ceremony was opened by young Polish star Ada Szulc and hosted by leading Polish broadcaster Monika Richardson (now Zamachowska) and CEEQA director Richard Hallward, an array of entertainment included performances by Wet Fingers with singers Nick Sinckler and Ewa Jach, as well as Lenny Kravitz TB, The Lovely Laura, Lindsay Martell, Monsterbots and CEEQA veteran Albert Kurowski. 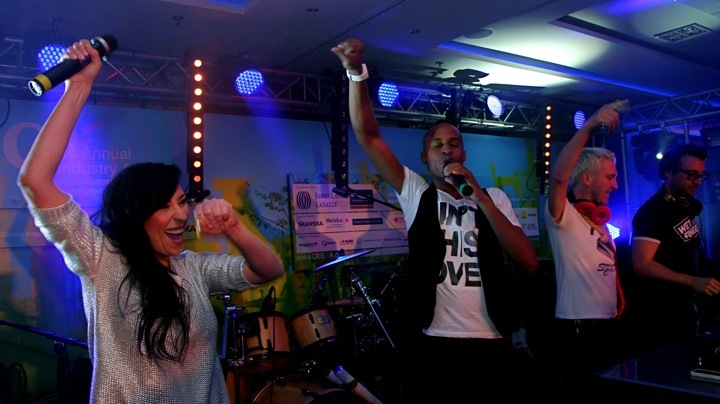 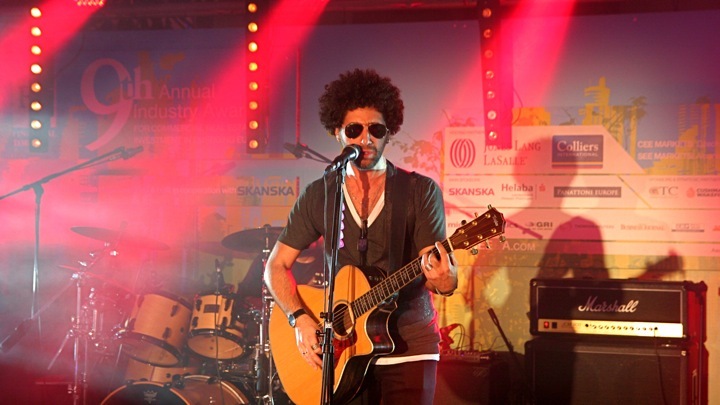 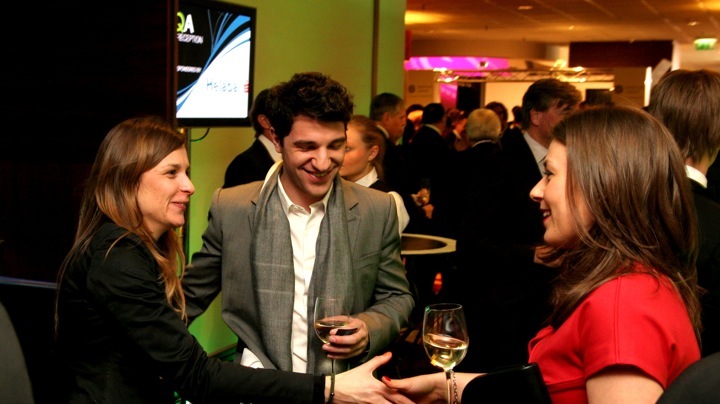 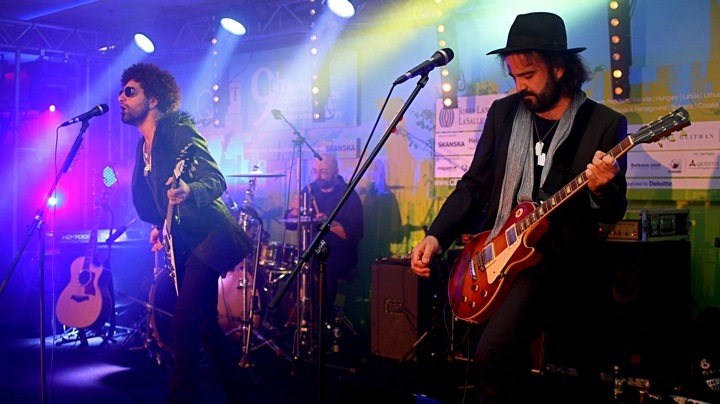 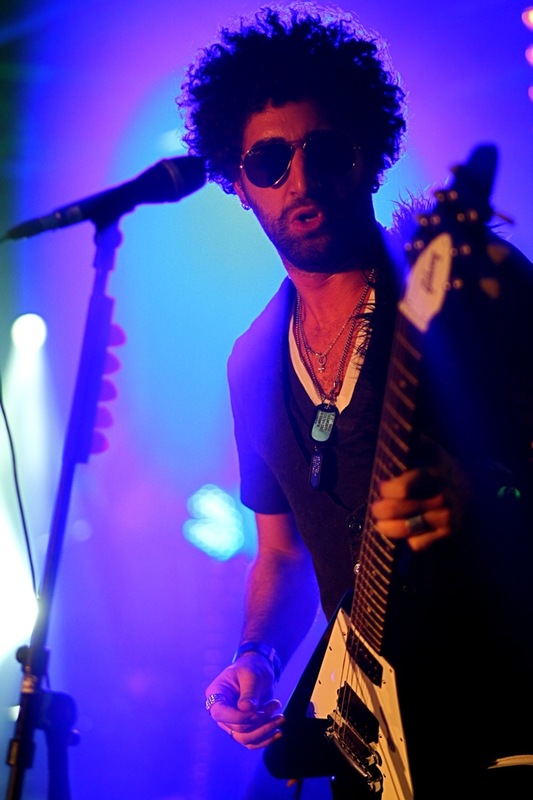 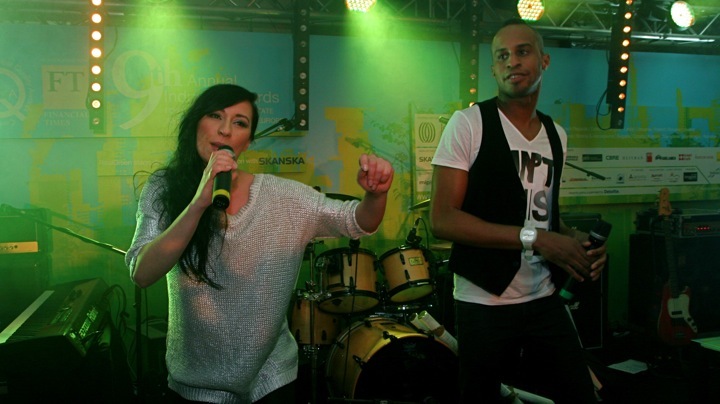 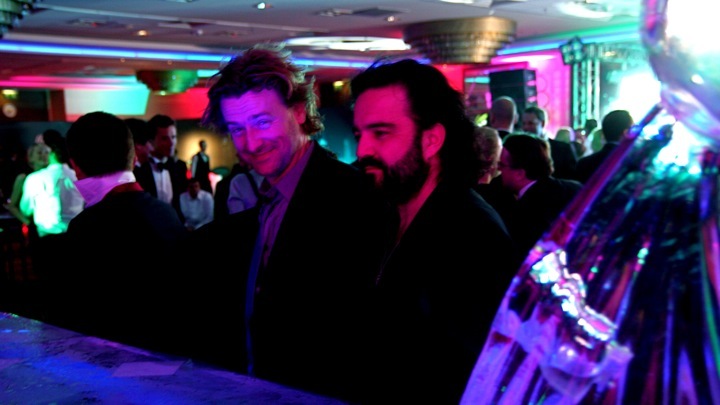 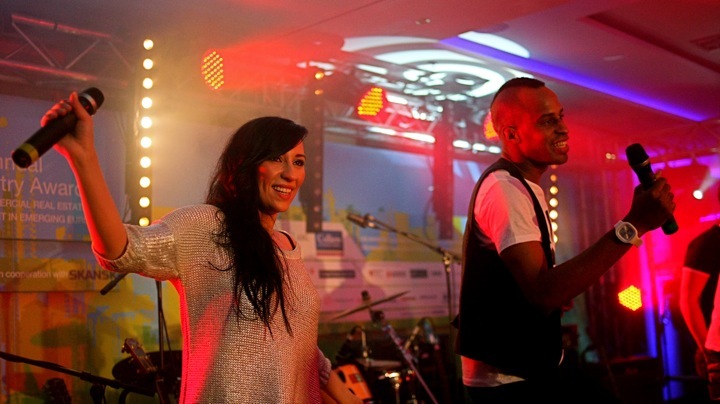 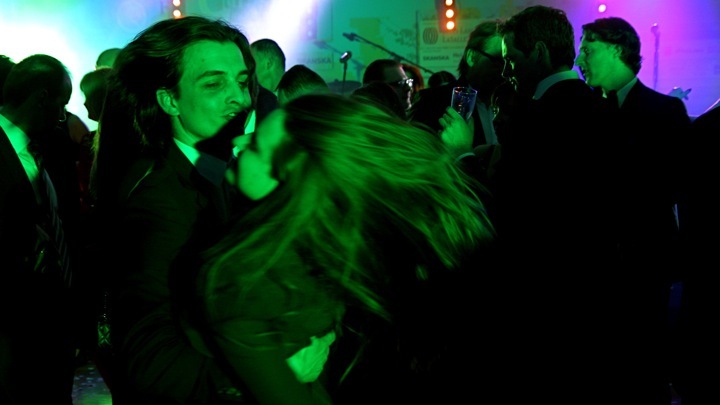 The event raised 10,200 euros for charity Bator Tabor Foundation. 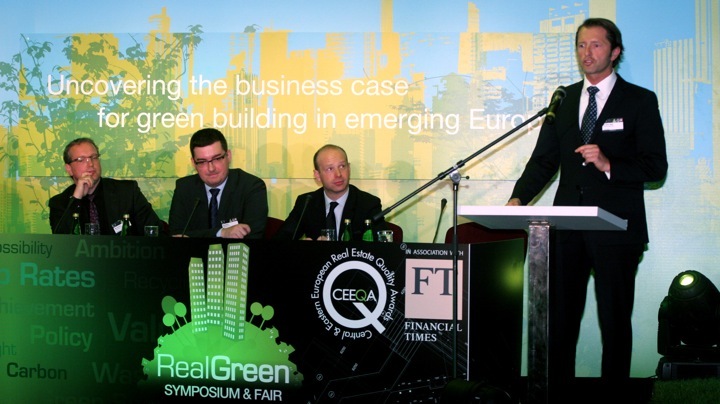 Green building, far from being an operational burden, is taking over as a driver of value for developers, investors and tenants of commercial buildings as the business case continues to crystallise, was the resounding message at the all day CEEQA RealGreen Symposium preceding the ninth edition of the CEEQA Gala, attended by 120 business leaders and sustainability experts engaged in the New Europe property sector. 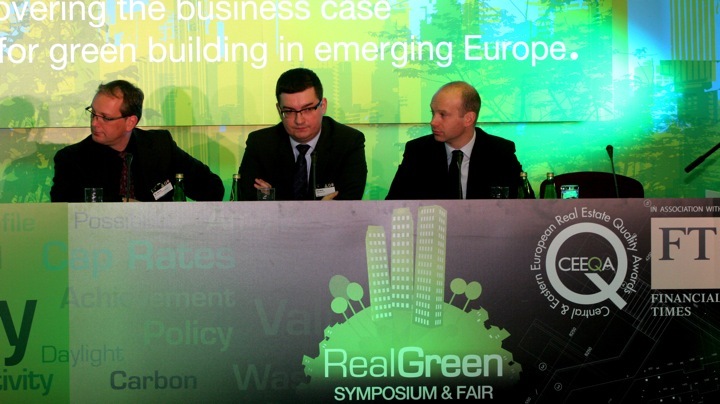 However the private sector should not be left to find the solutions on its own and more regional and national political leadership is required to fast track this sea change in the green building debate. 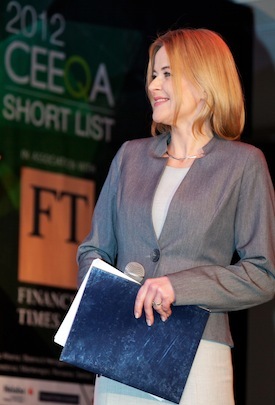 A powerful and persuasive keynote by Lauralee Martin, Chief Operating and Financial Officer for global real estate consulting group Jones Lang LaSalle (now JLL) spelled out the “value creation” and “future proofing” possibilities in green building in where financial considerations were gradually superseding ethical considerations, a case supported by in depth presentations by Cisco Systems, Norton Rose (now Norton Rose Fulbright) and Deutsche Bank which unpacked the positive conjunction of the ethical case as a responsibility but also a talent magnet for employers in their selection of work space. 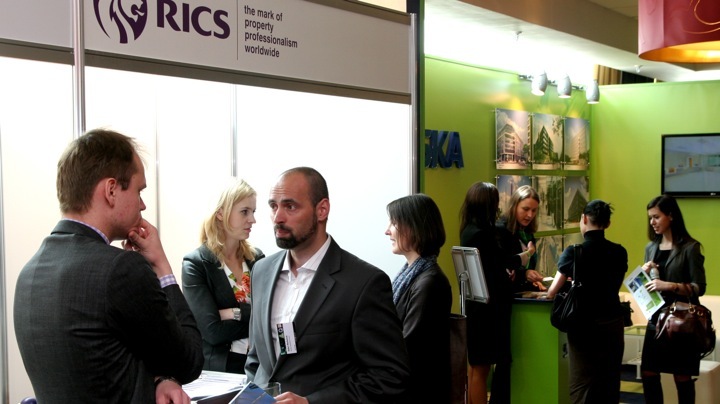 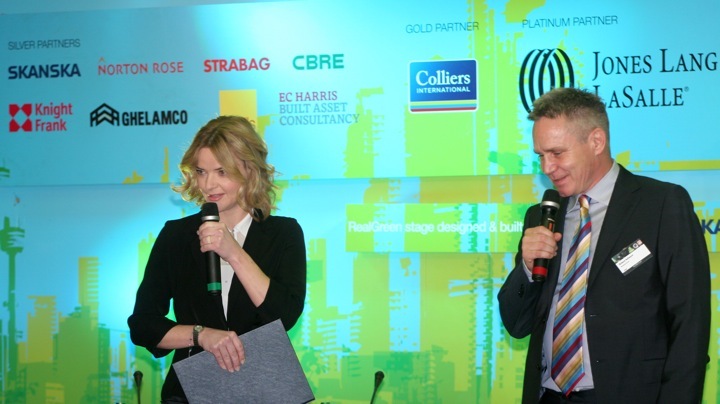 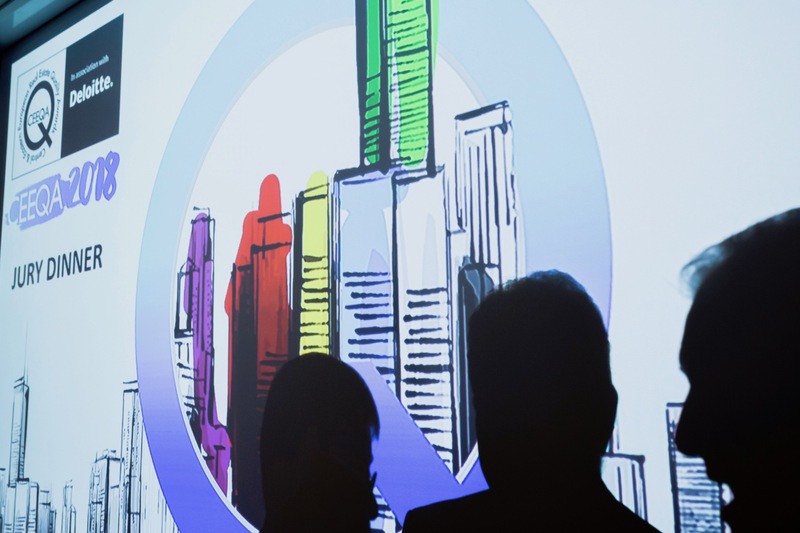 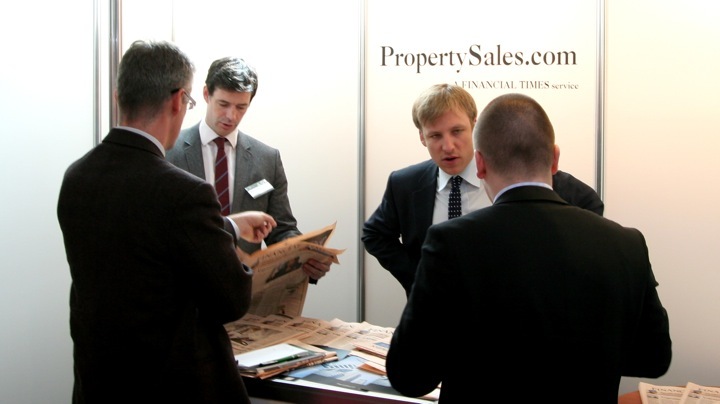 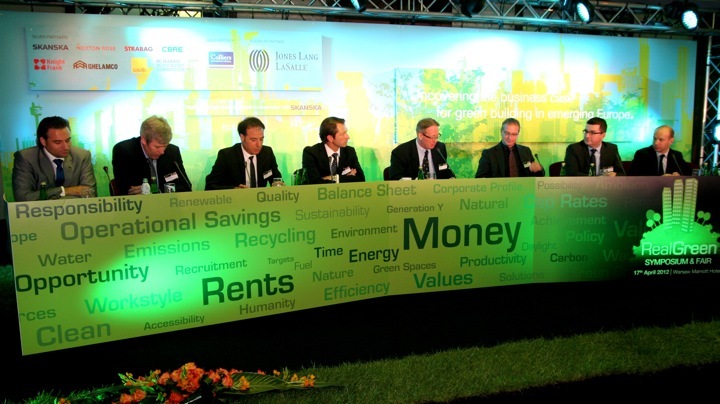 The presentations we accompanied by wide ranging panel discussions involving some of the sector’s leading real estate business and sustainability leaders. 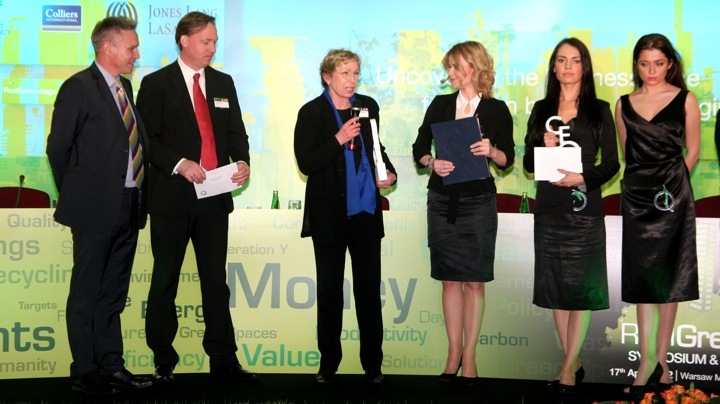 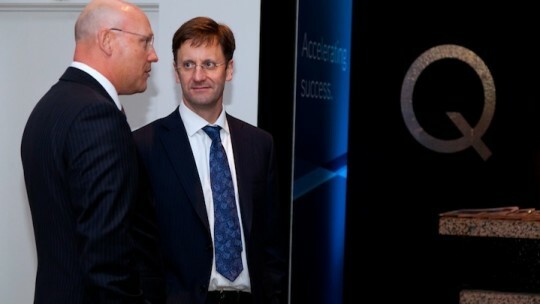 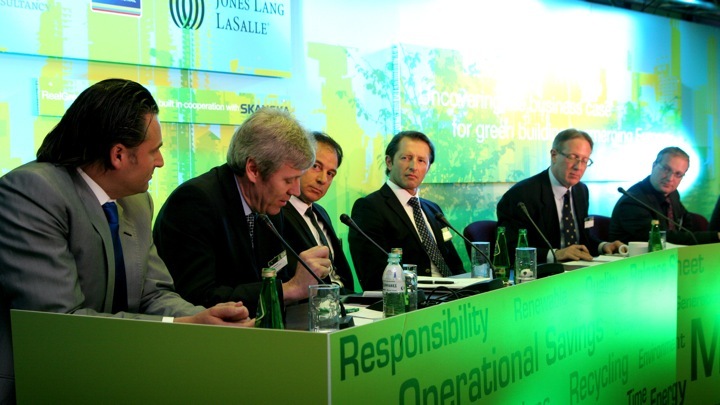 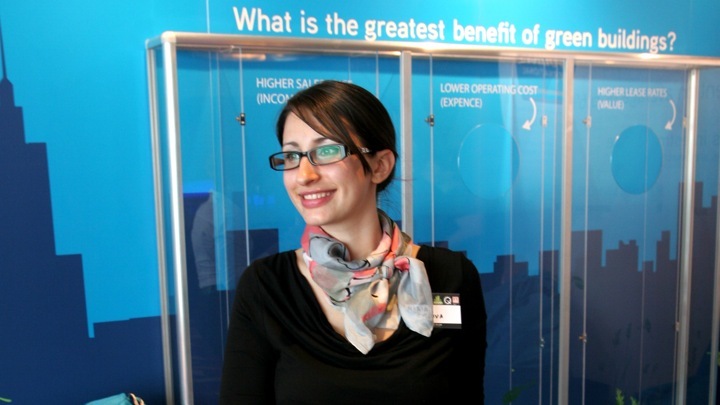 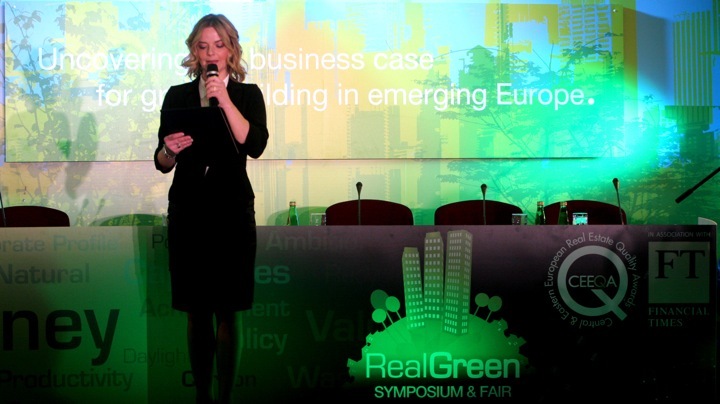 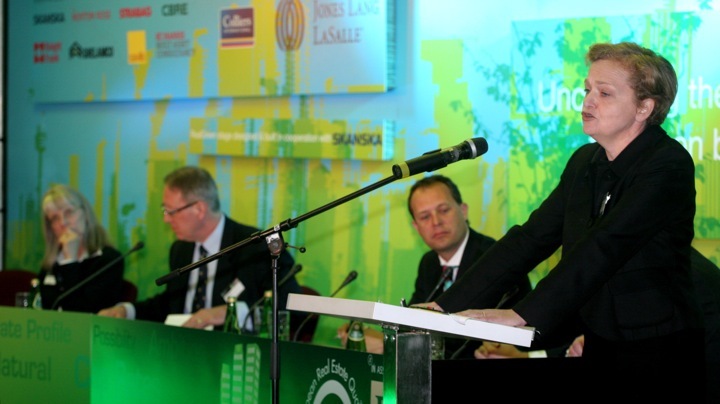 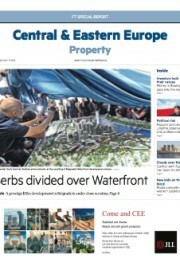 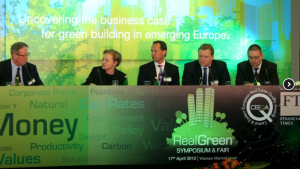 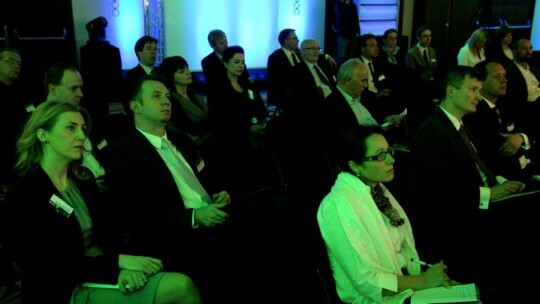 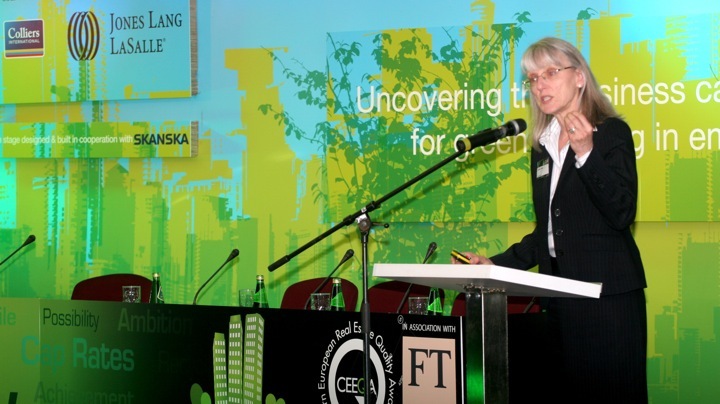 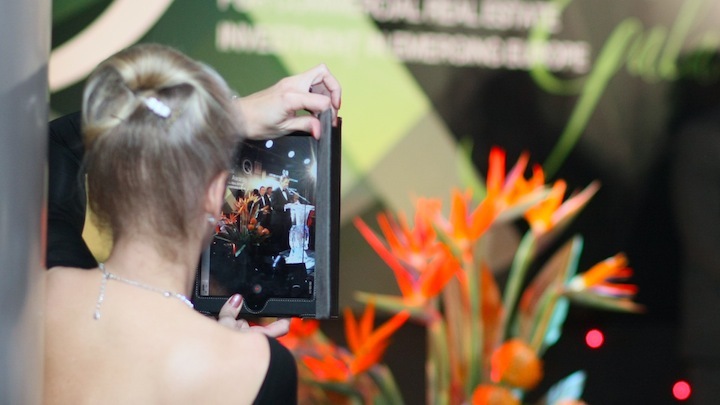 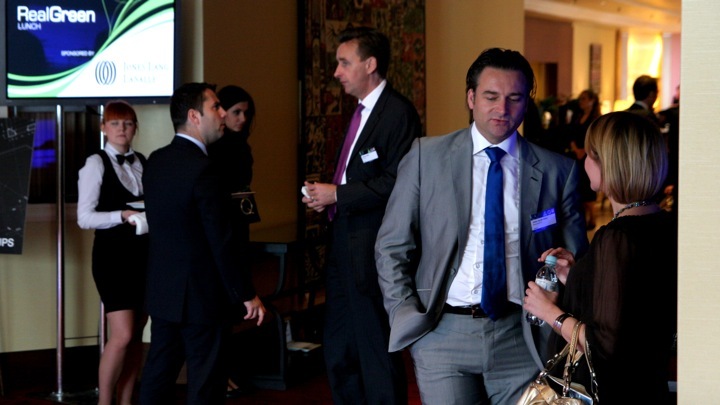 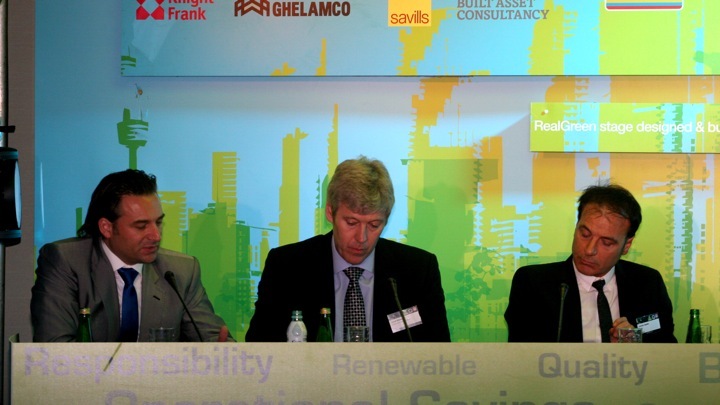 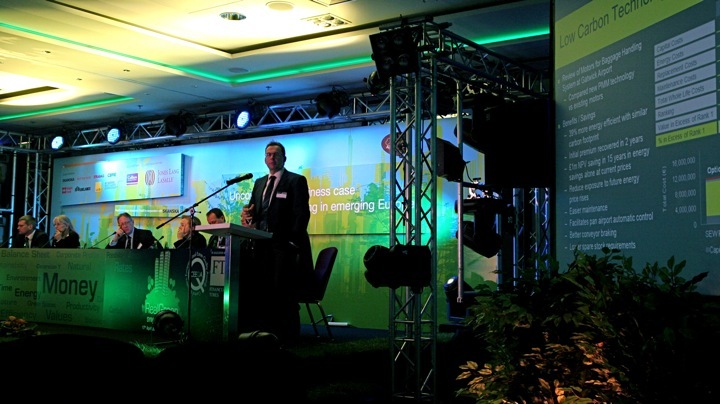 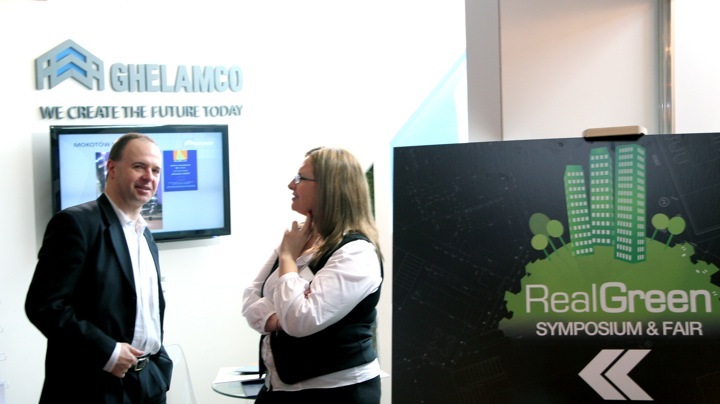  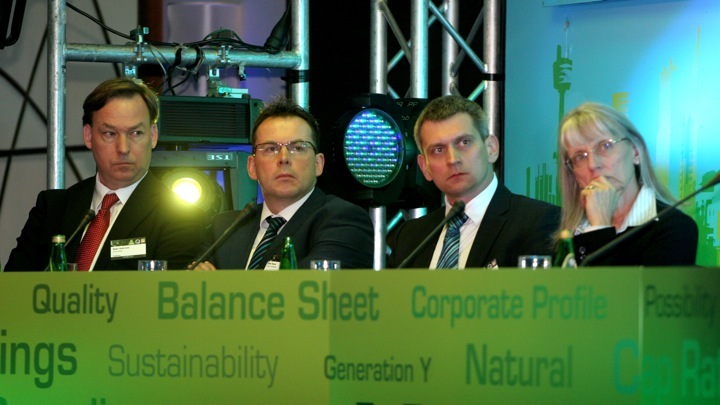 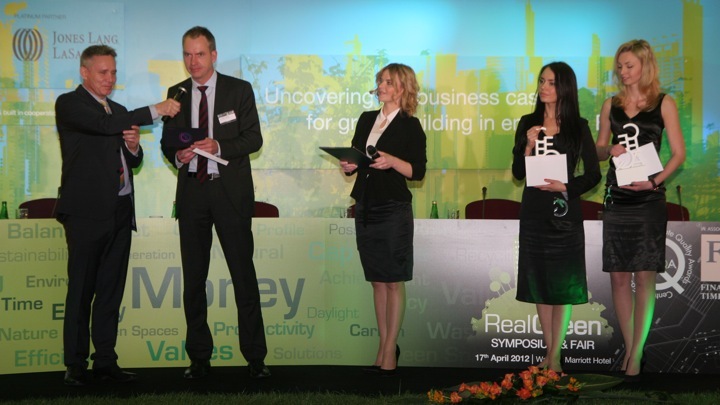 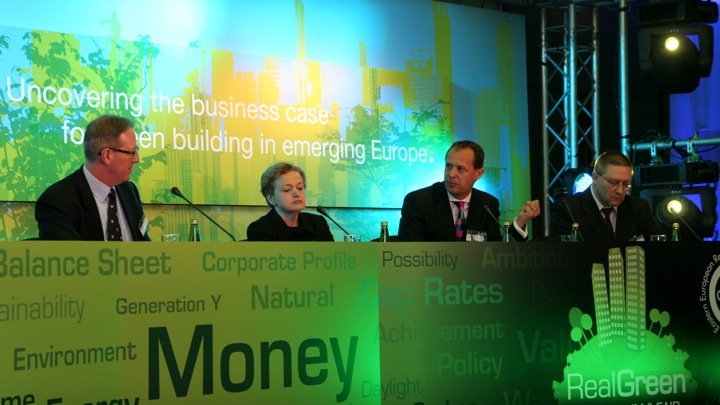 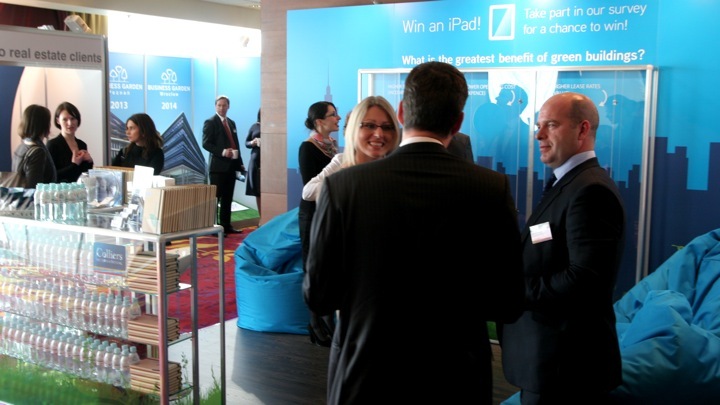 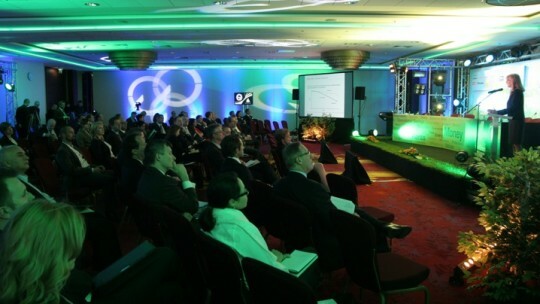 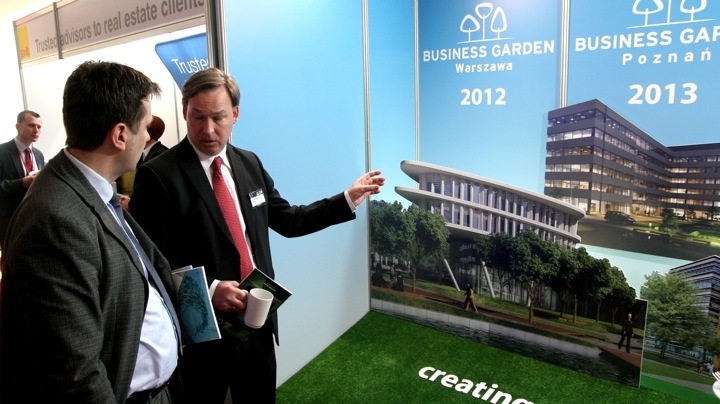 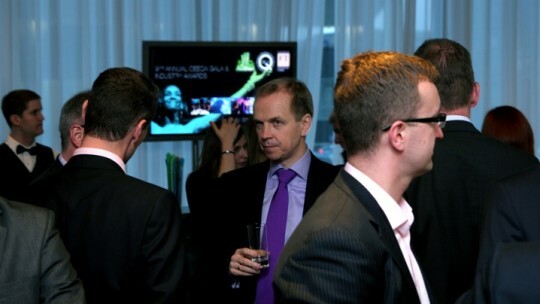 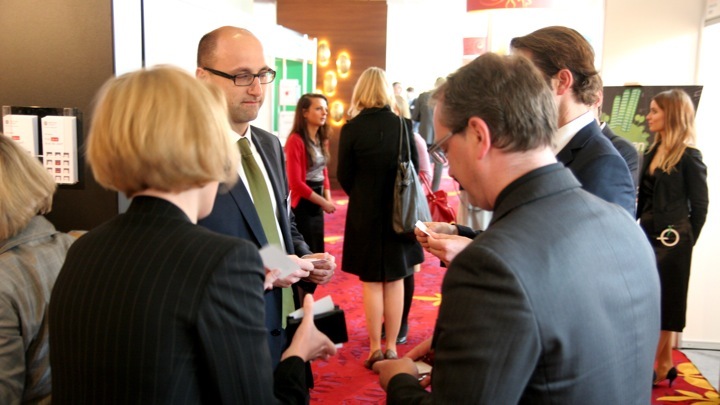 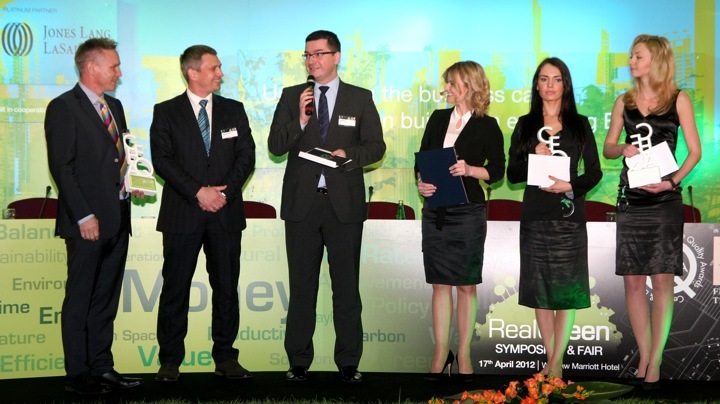 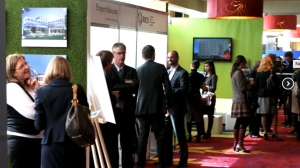 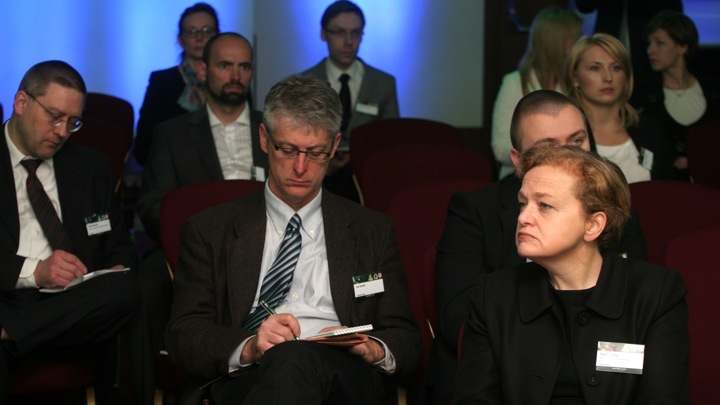 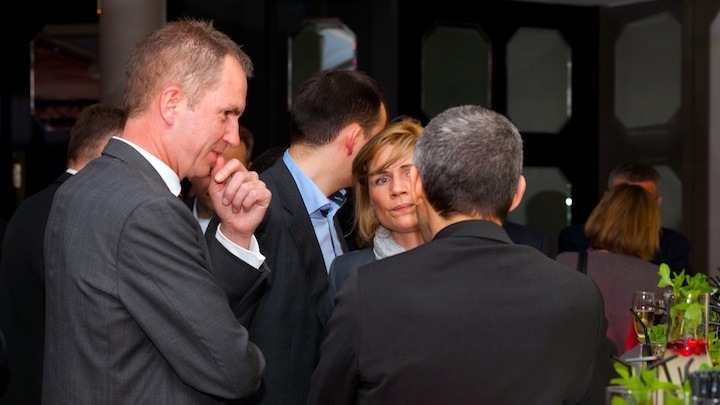 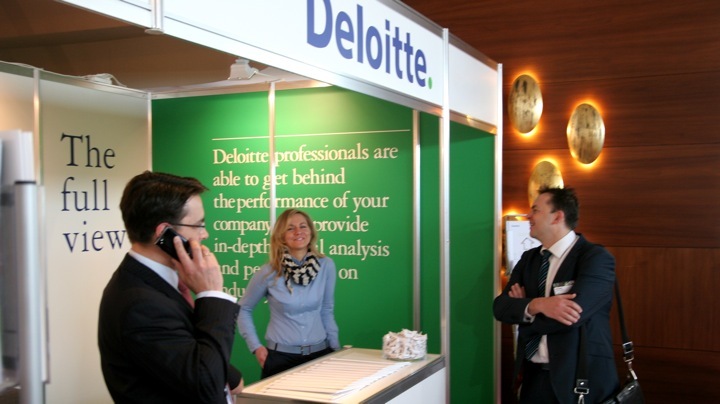 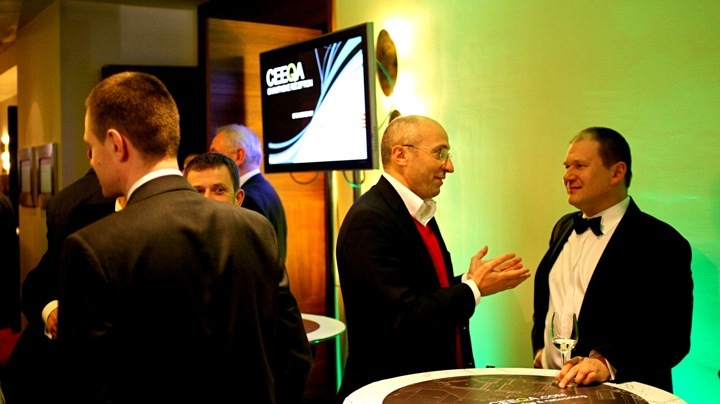 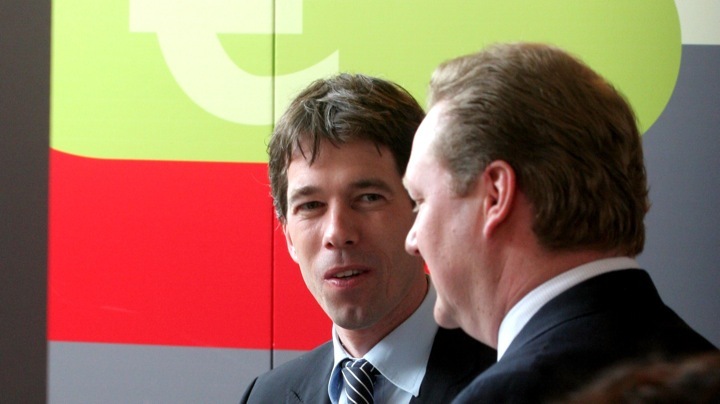 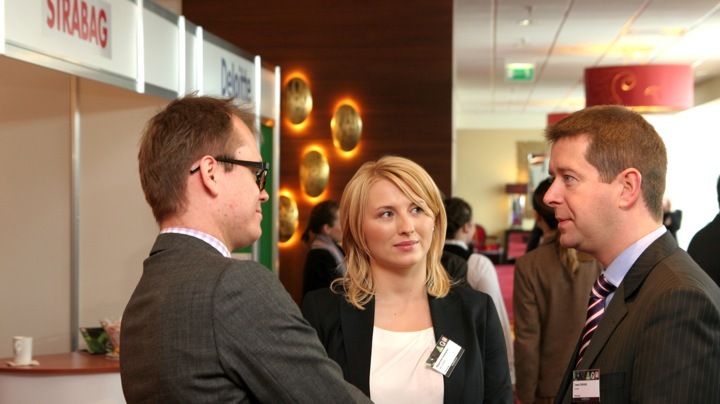 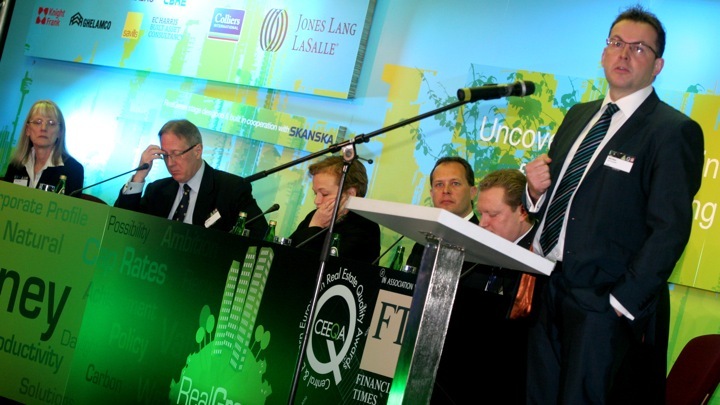 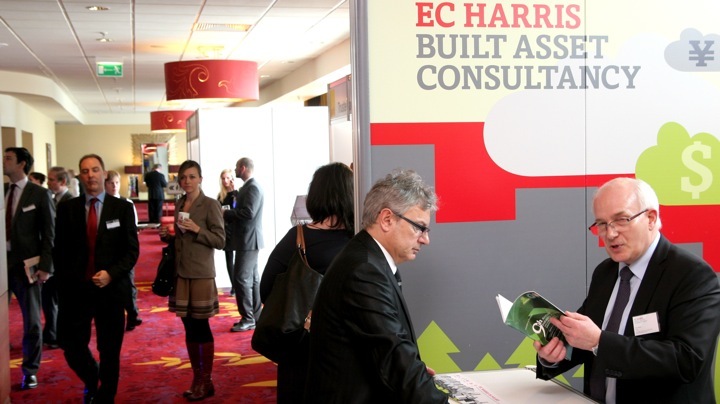 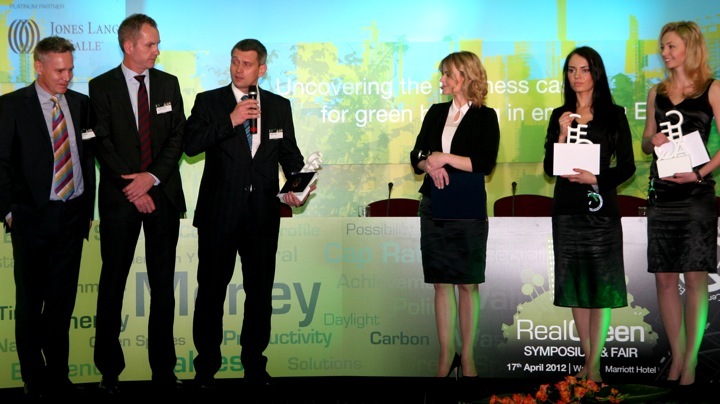 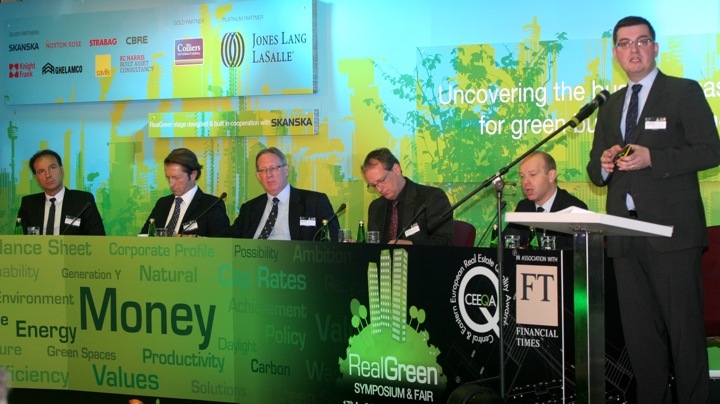 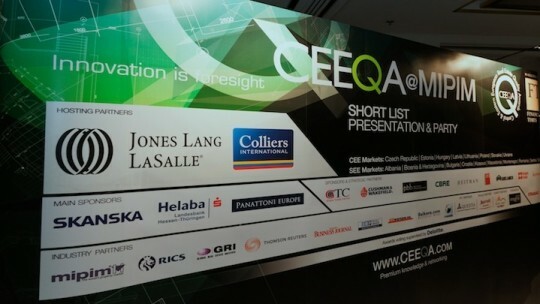 For a full report on the output of the event visit our CEEQA RealGreen Symposium page. 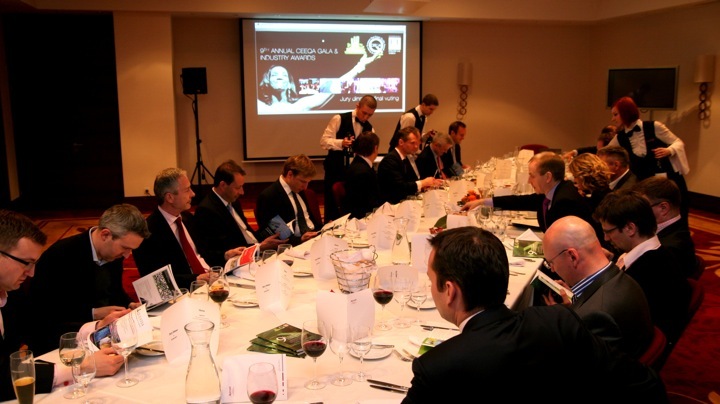 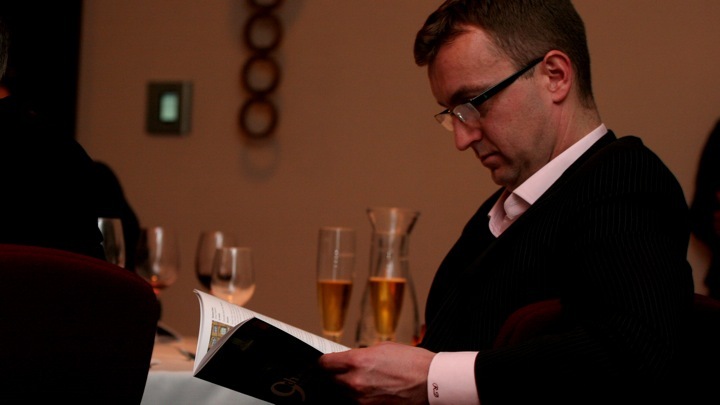 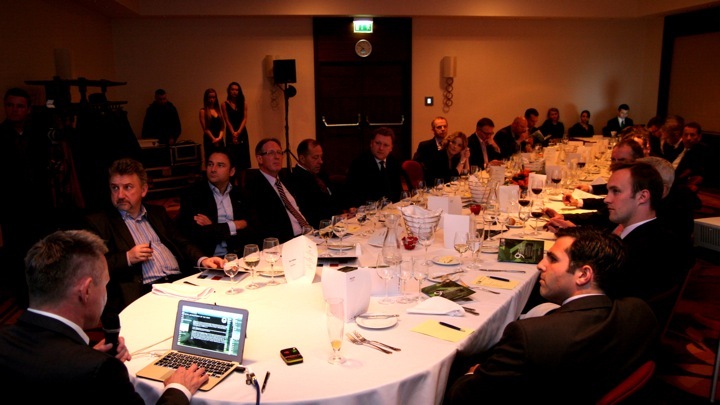 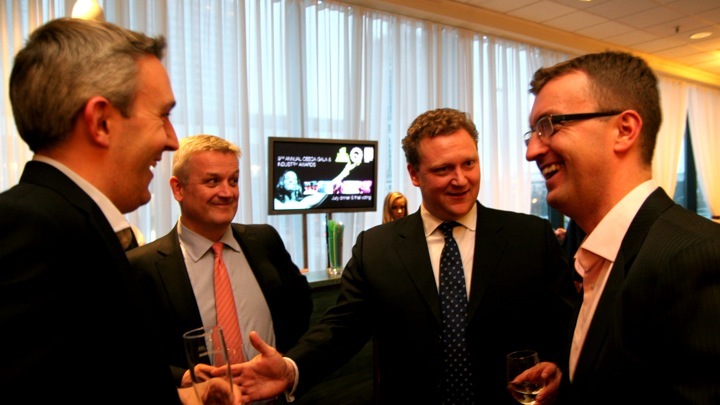 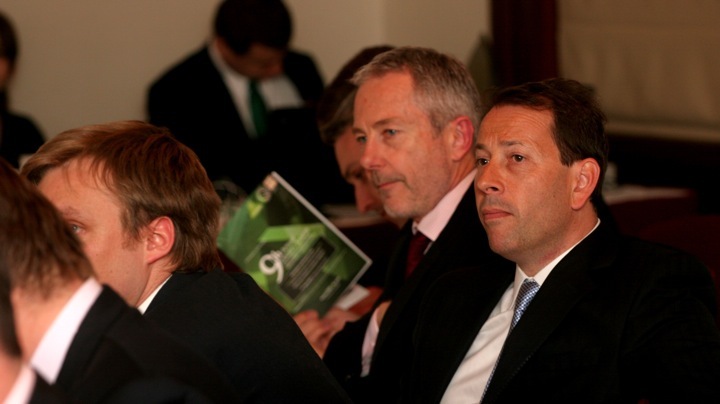 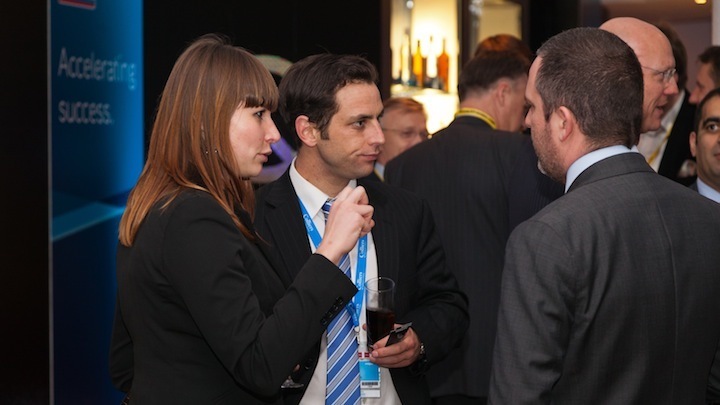 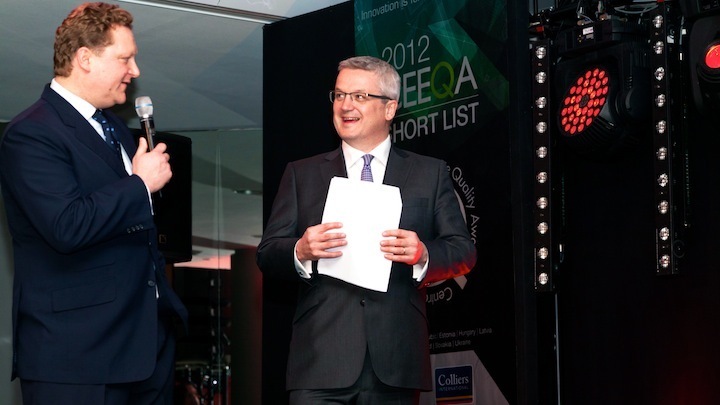 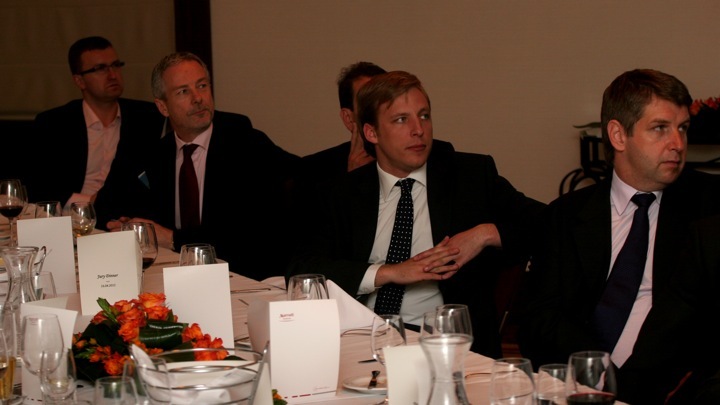 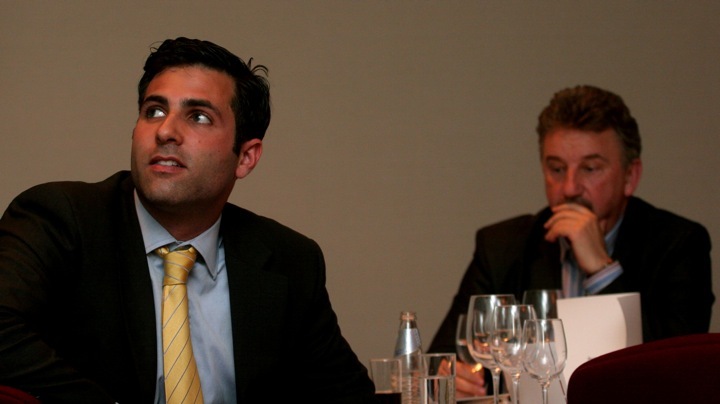 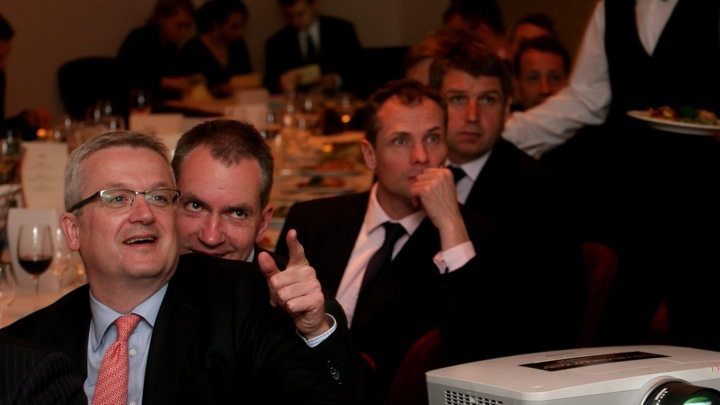 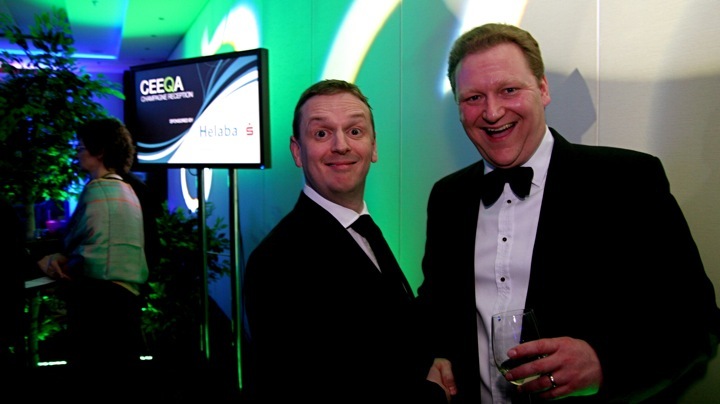 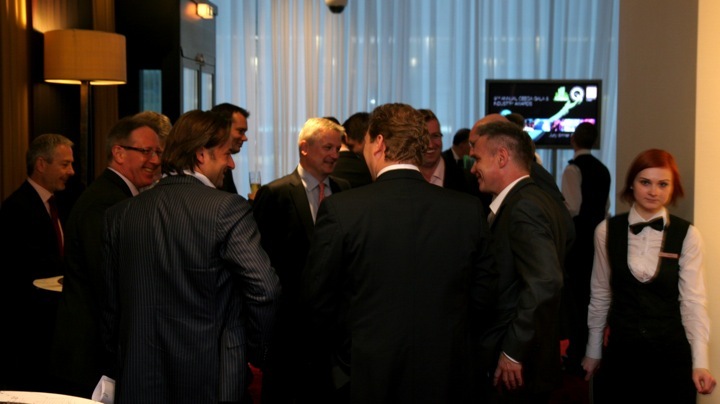 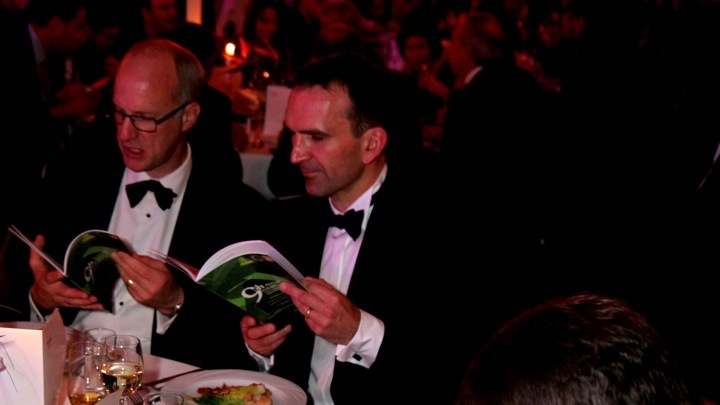 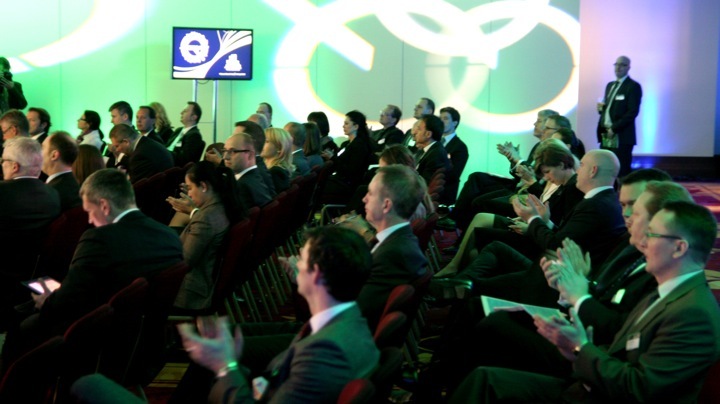 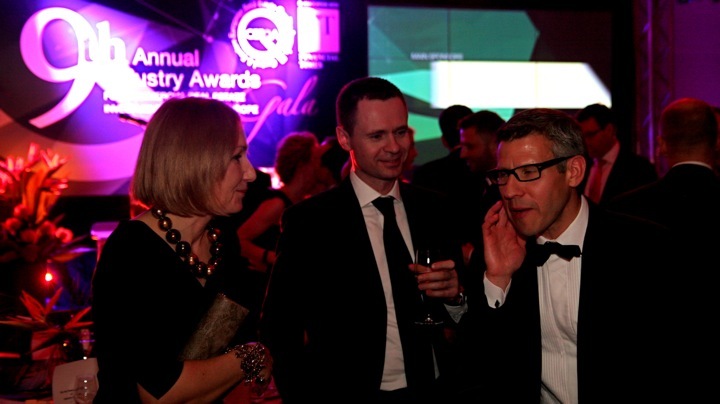 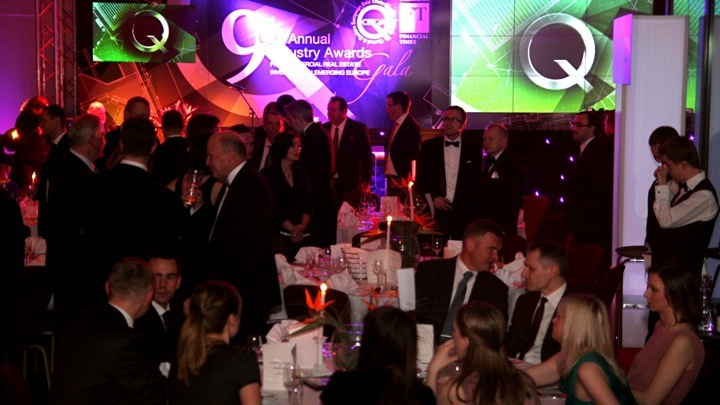 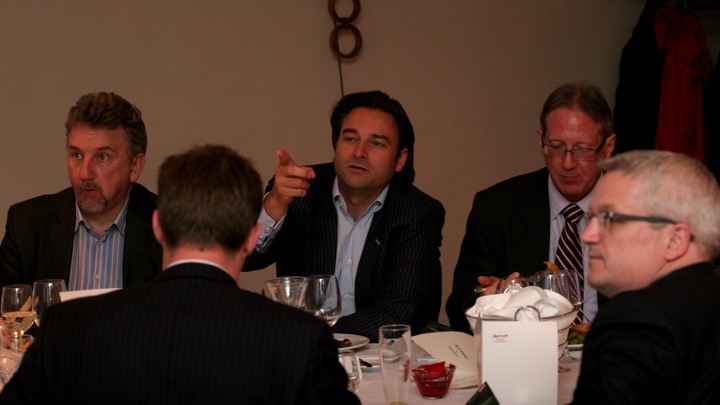 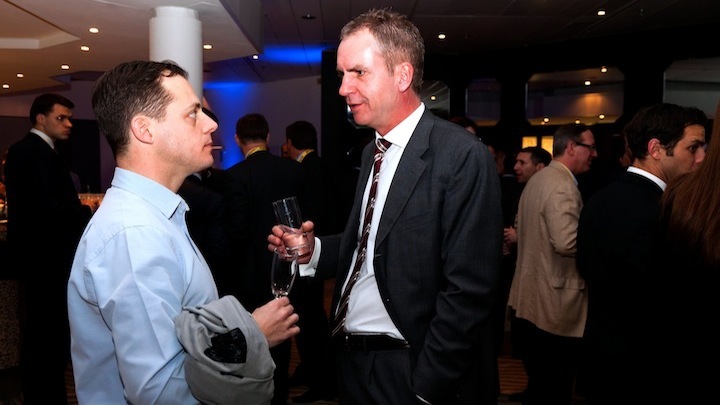 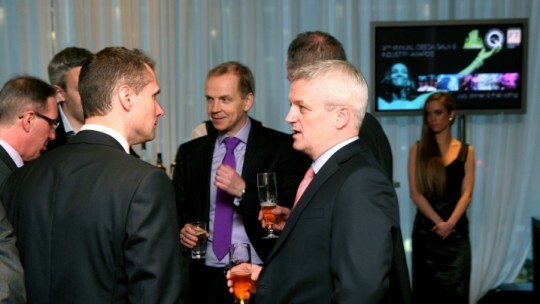 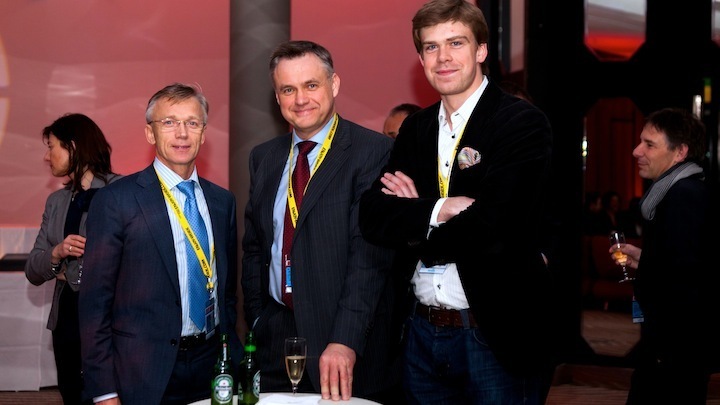 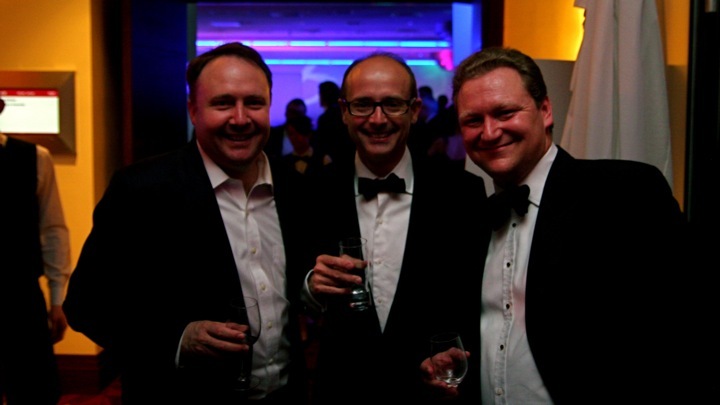 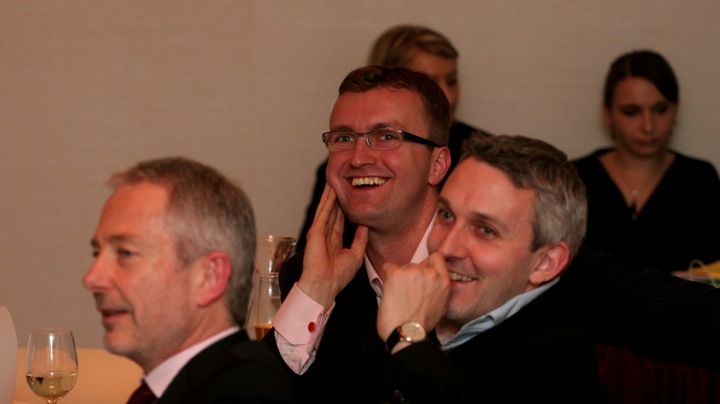 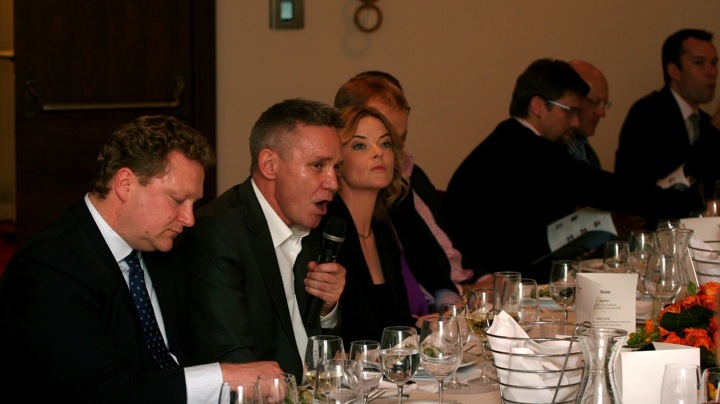 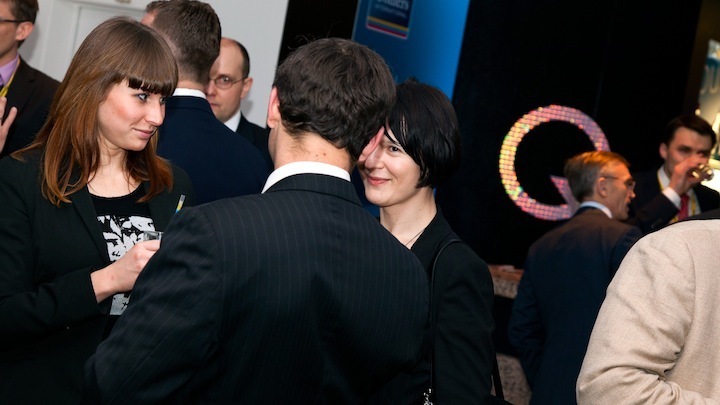 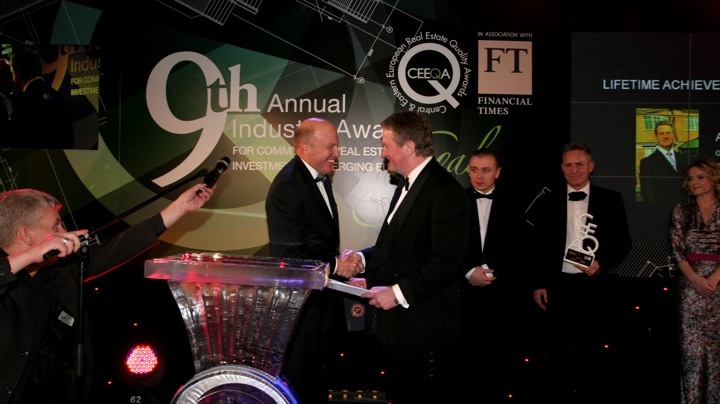 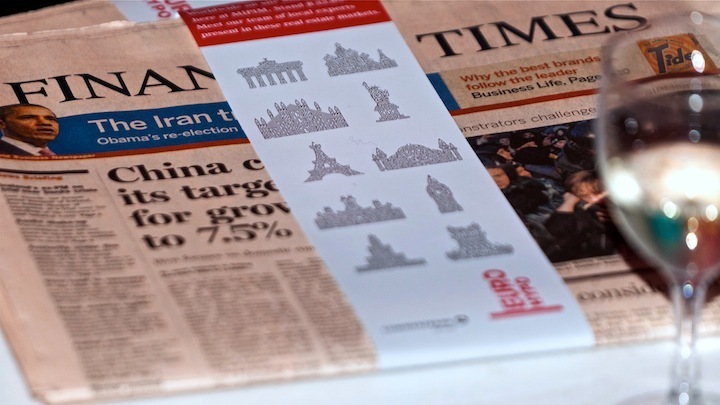 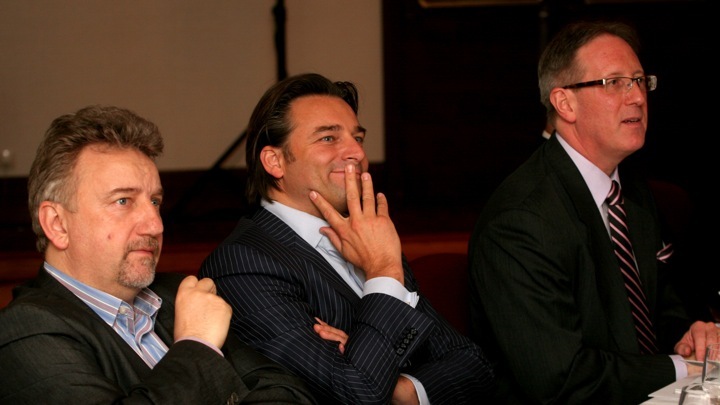 A group of the sector’s most senior leaders representing market leading companies comprised the 2012 CEEQA Jury. 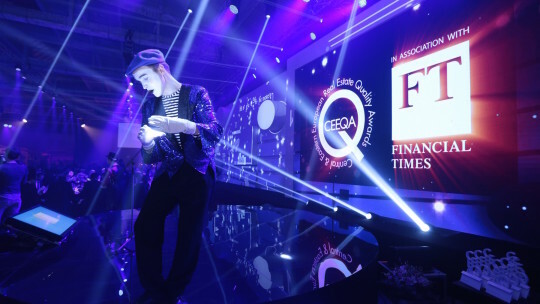 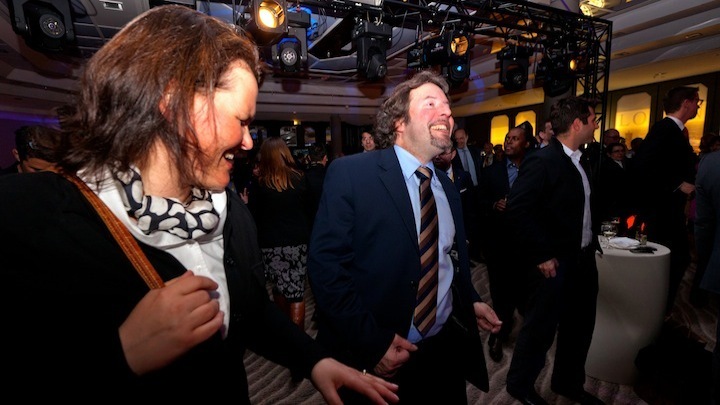 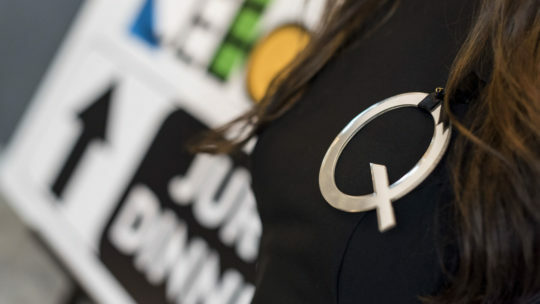 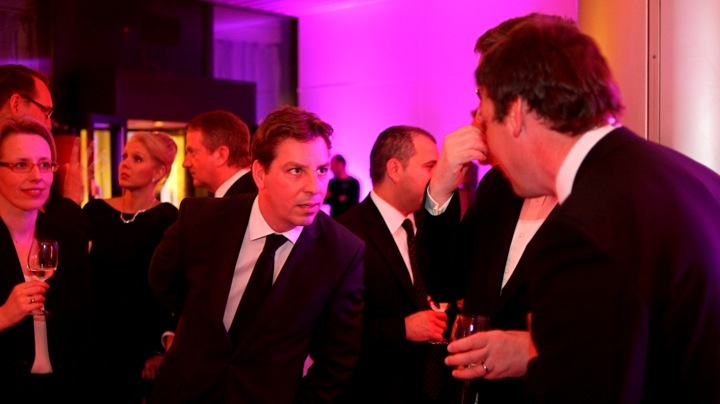 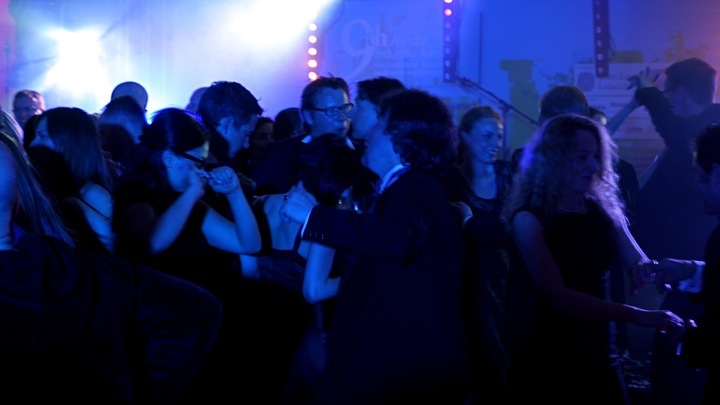 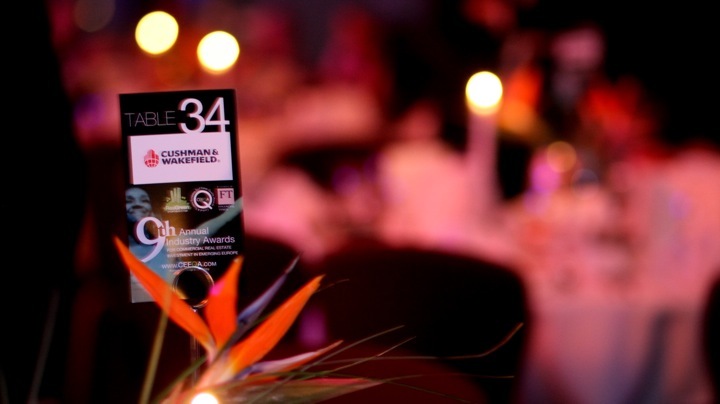 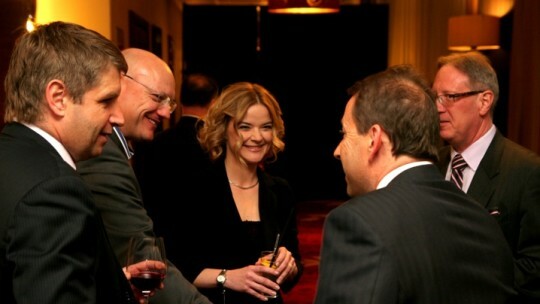 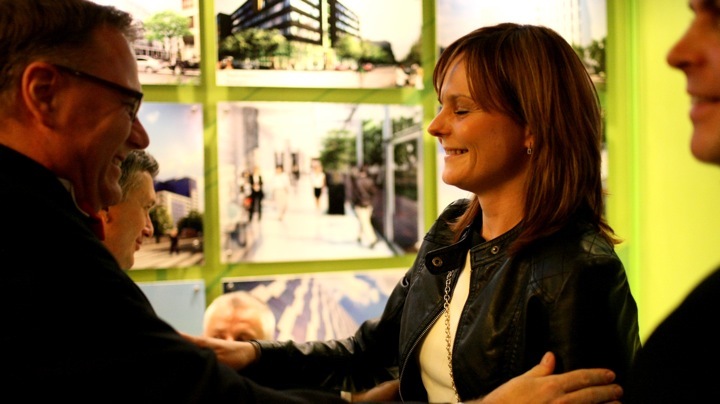 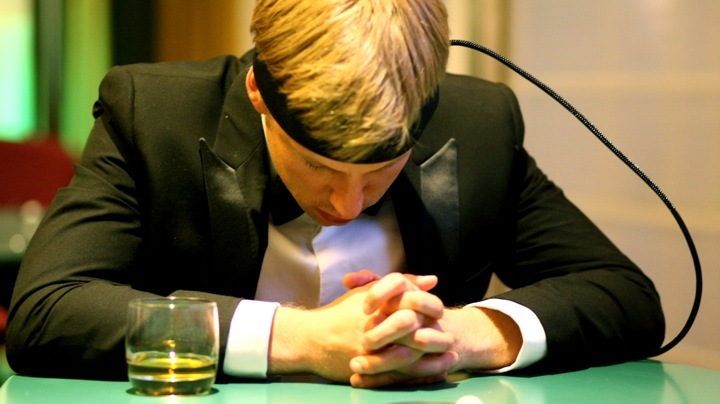 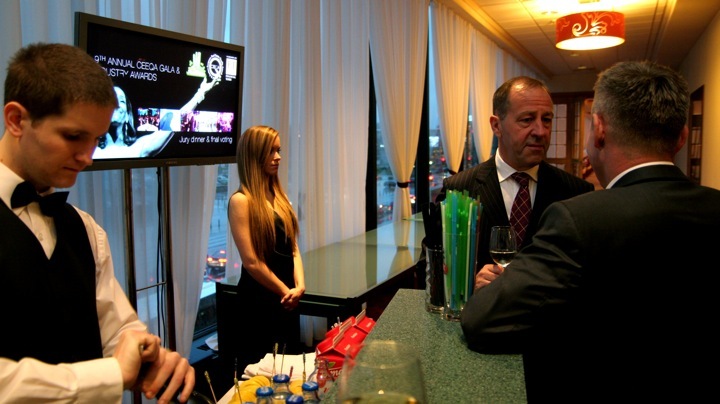 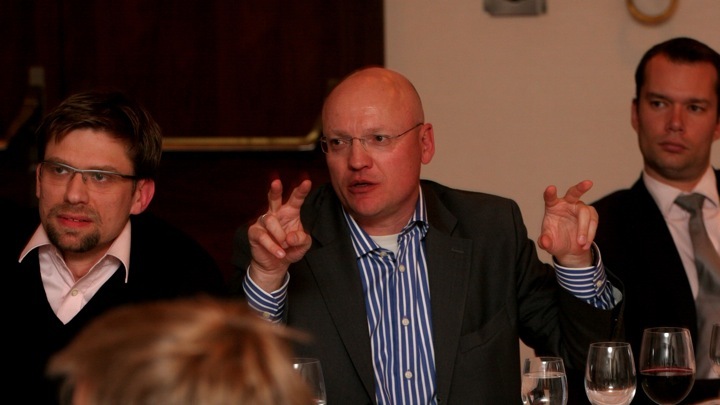 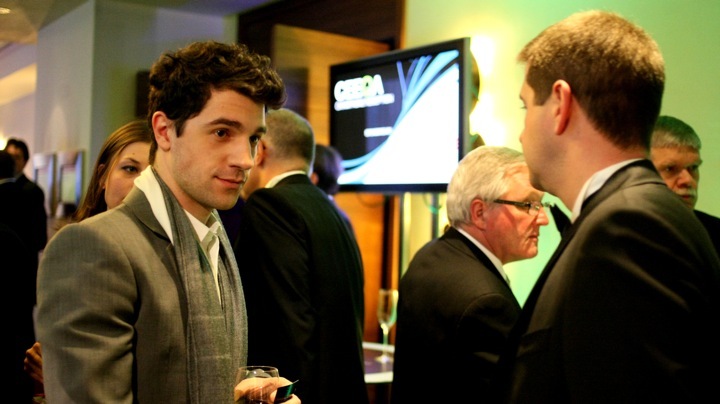 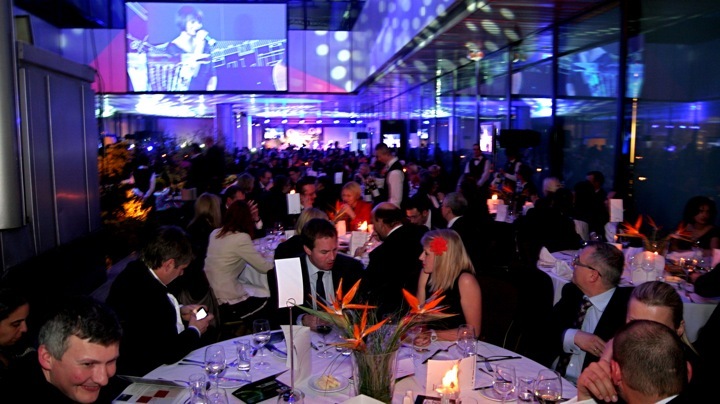 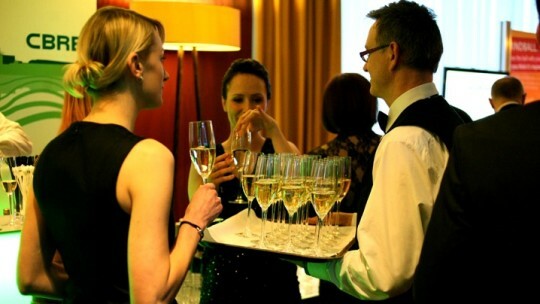 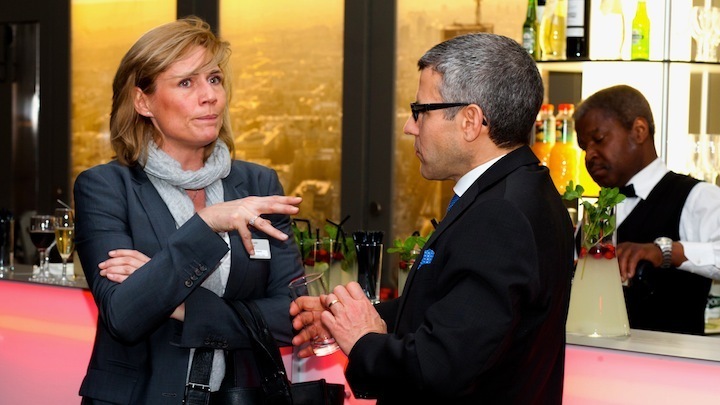 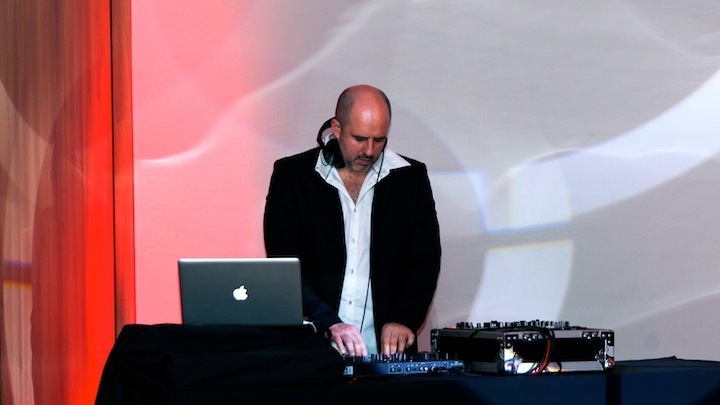 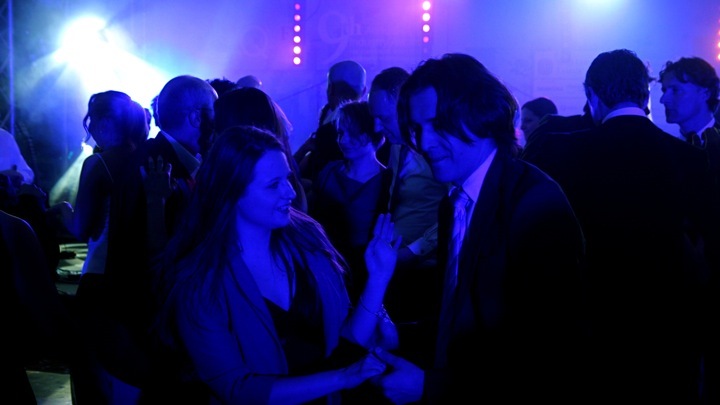 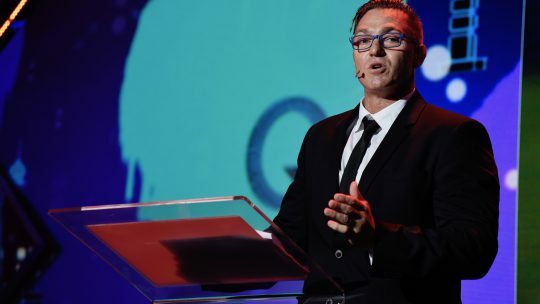 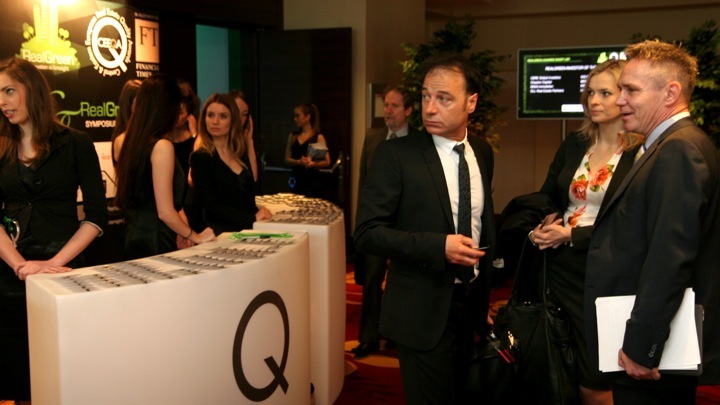 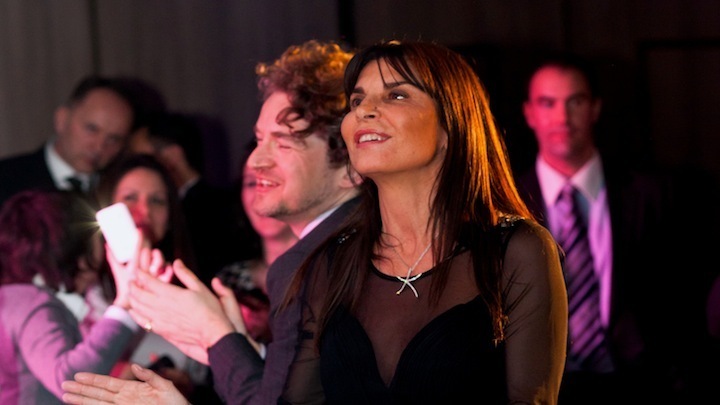 The final award selections were made at a meeting of the jury the night preceding the CEEQA Gala. 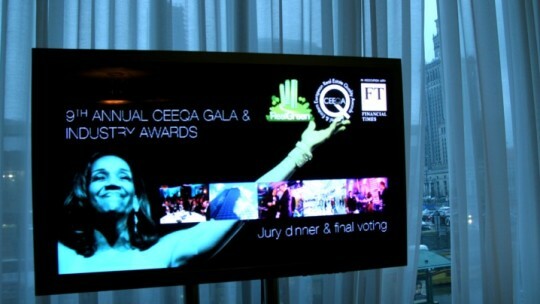 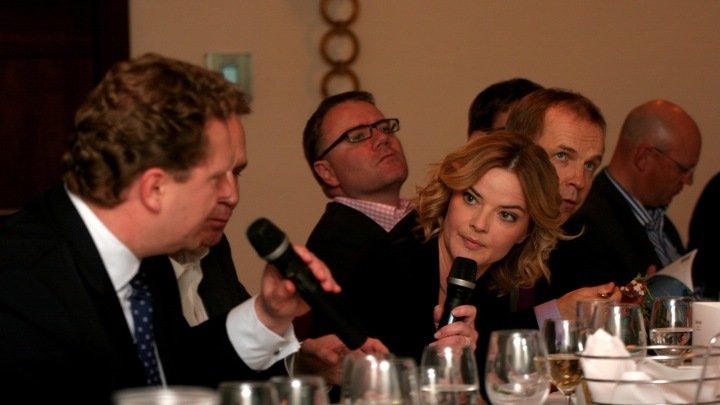 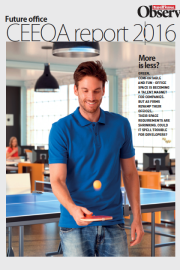 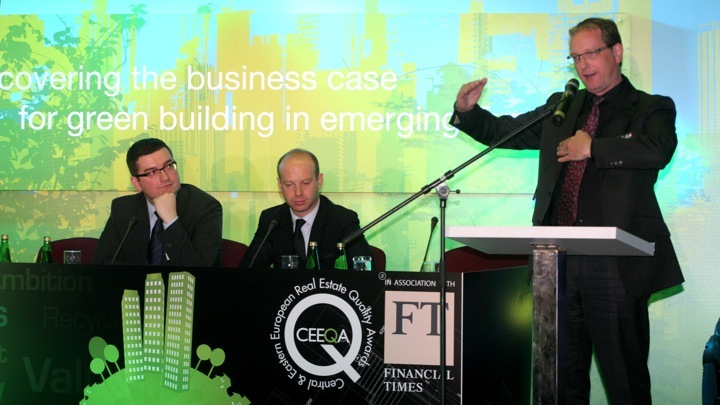 Vital to CEEQA’s role and place in the market is the composition and function of the CEEQA Jury. 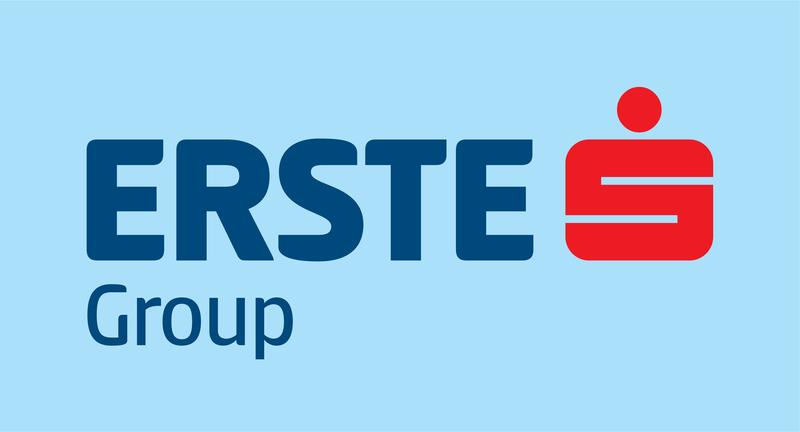 Places on the jury are rotated each year among developers, investors, lenders, advisors and services providers, with five major international agents operating across the region retaining permanent seats on the jury: CBRE, Colliers International, Cushman & Wakefield, JLL and Knight Frank.